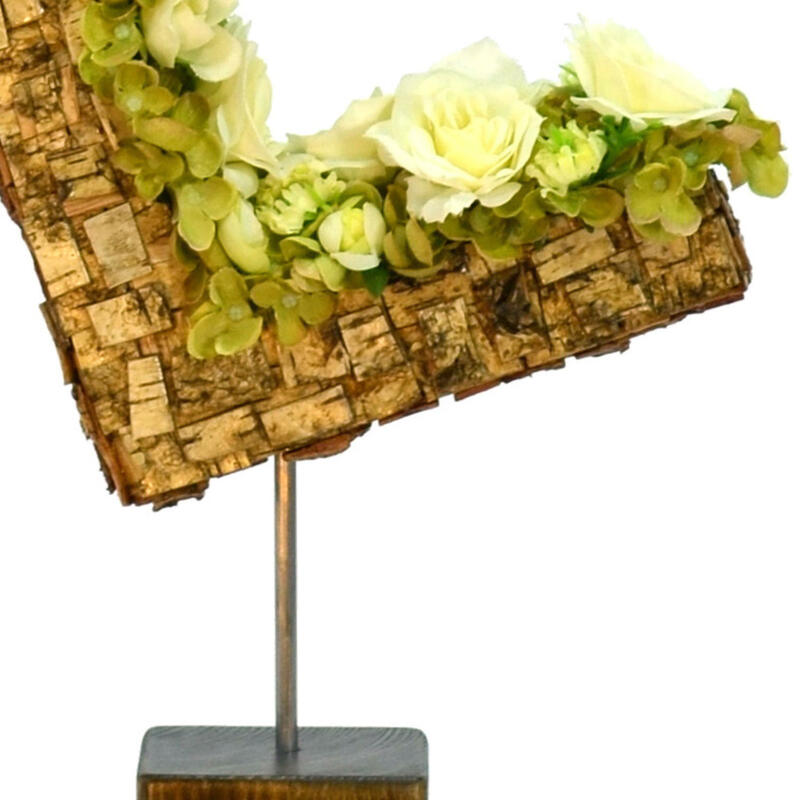 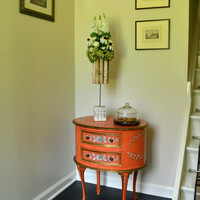 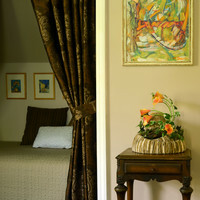 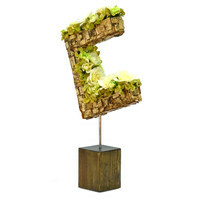 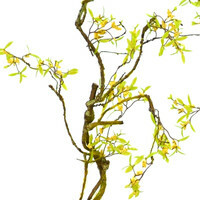 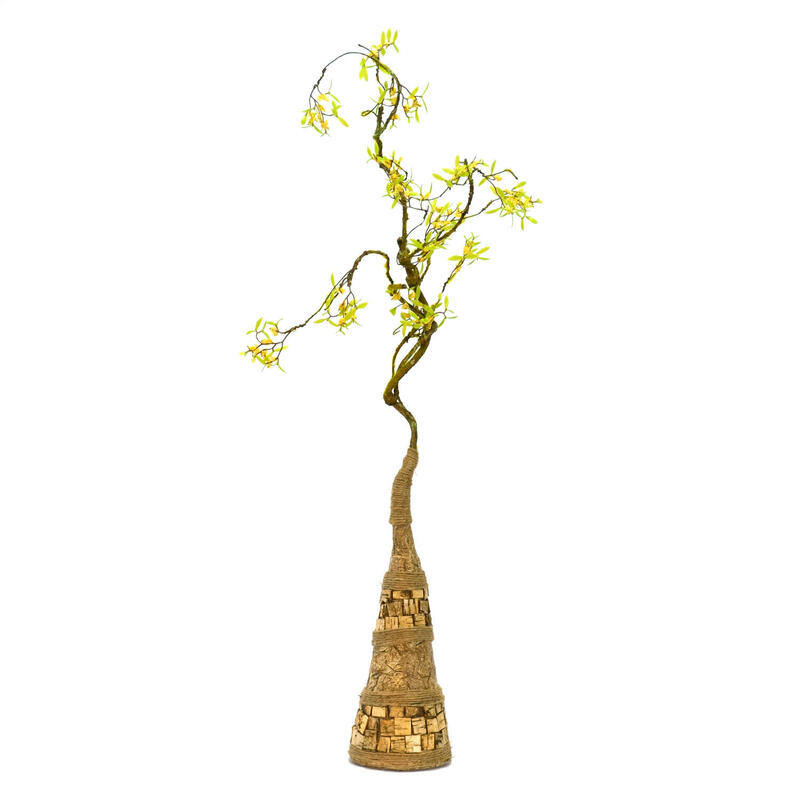 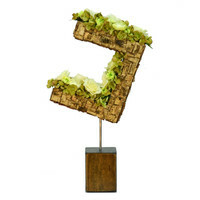 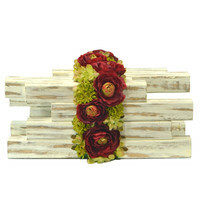 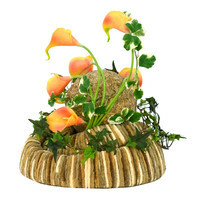 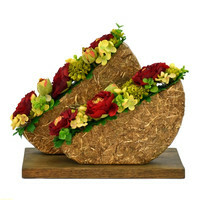 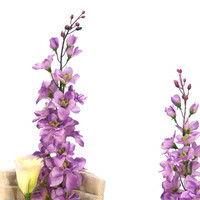 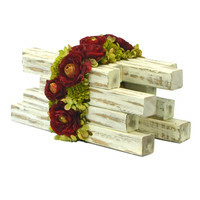 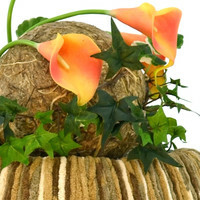 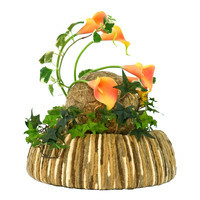 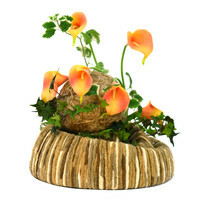 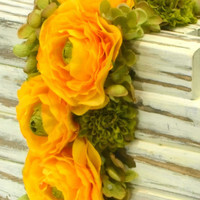 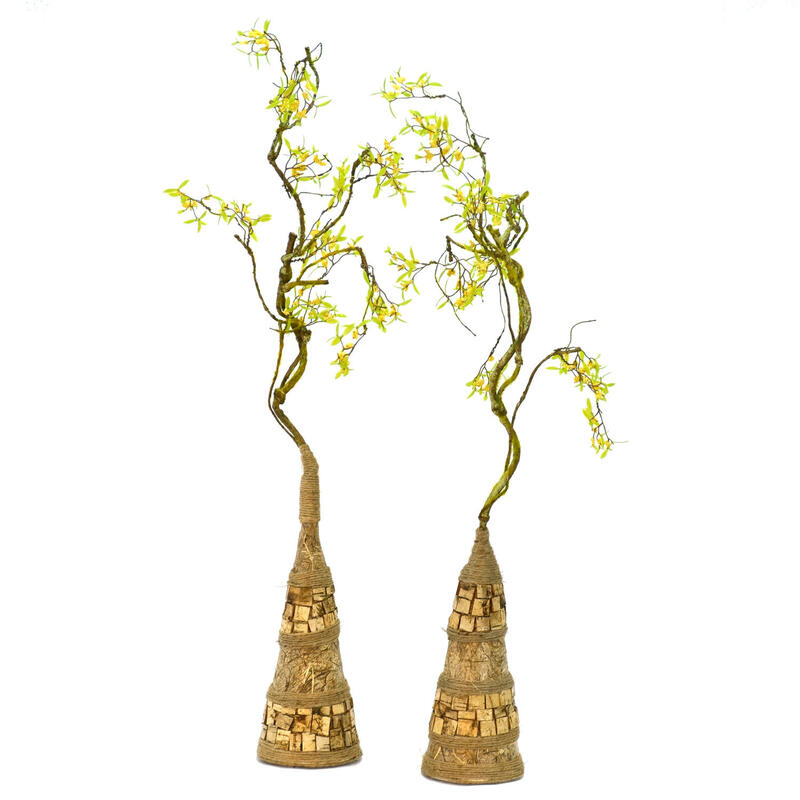 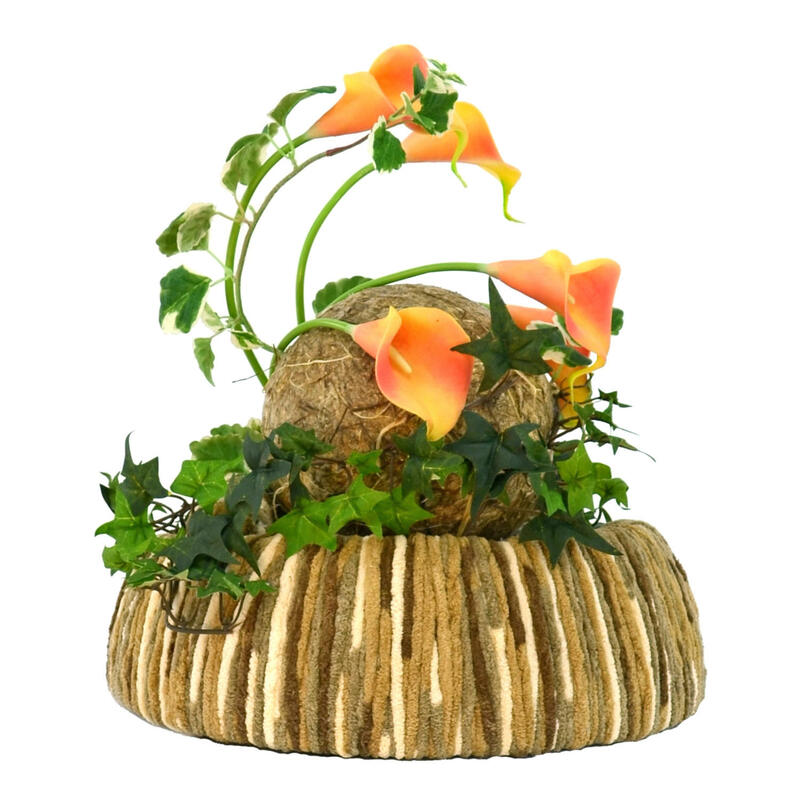 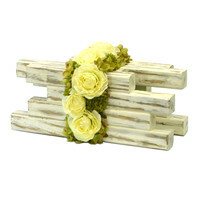 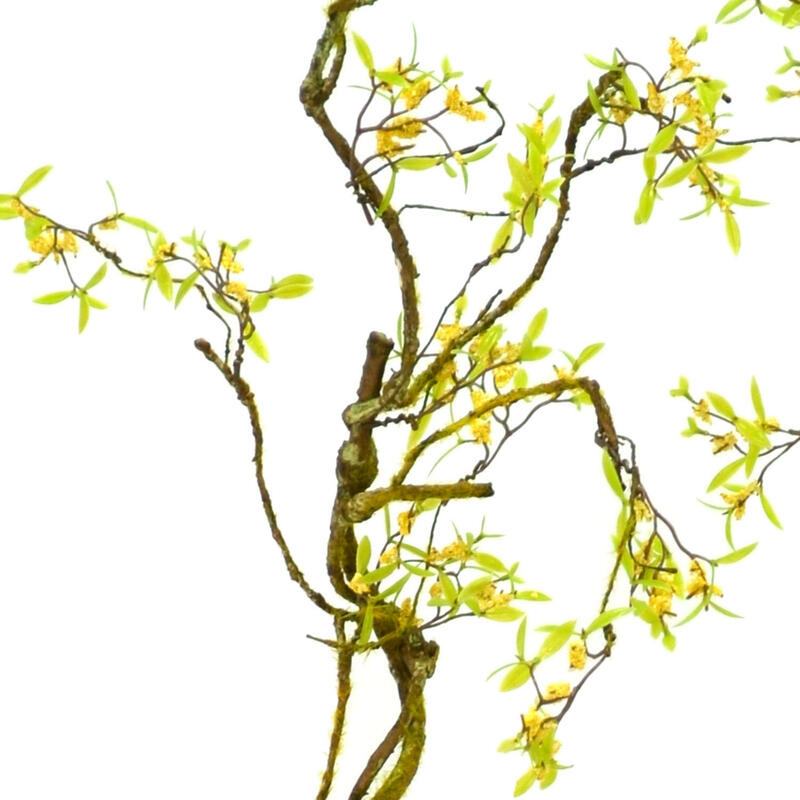 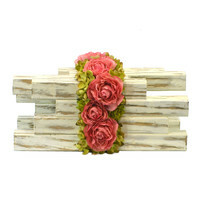 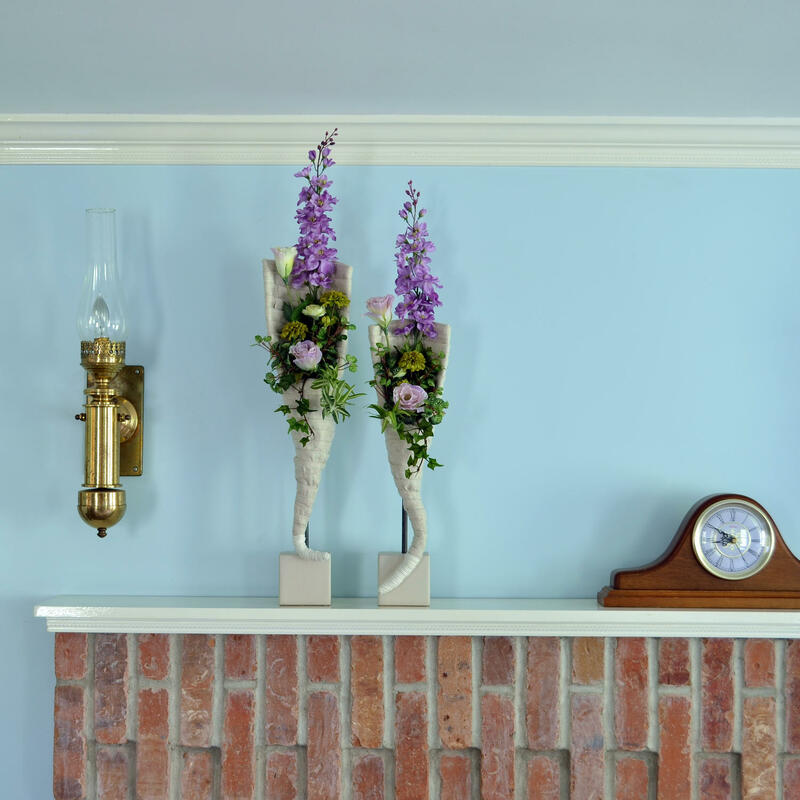 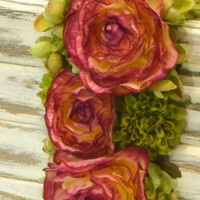 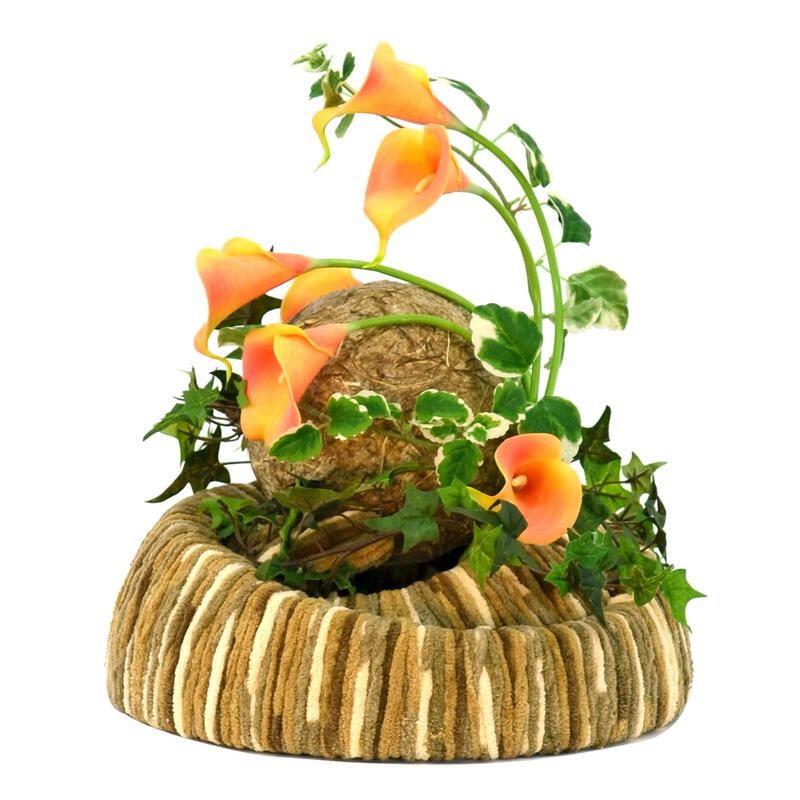 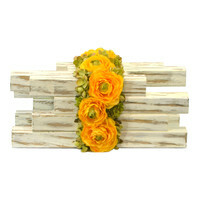 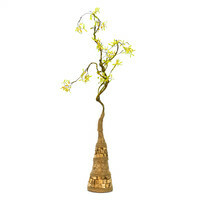 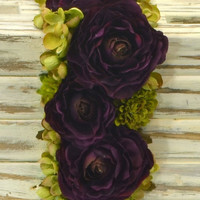 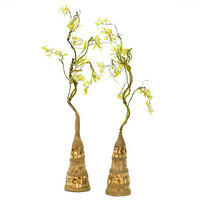 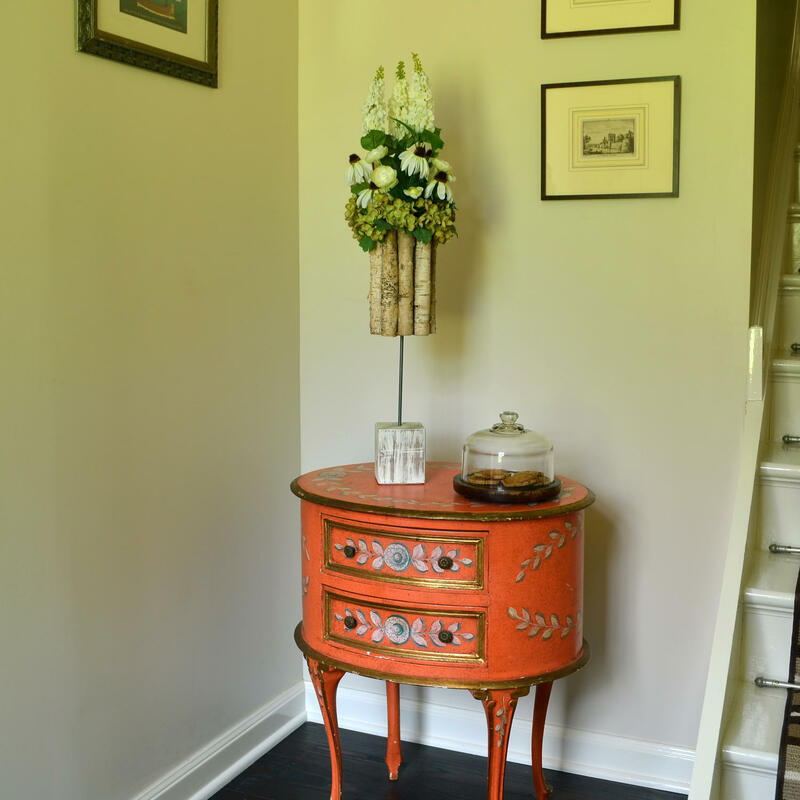 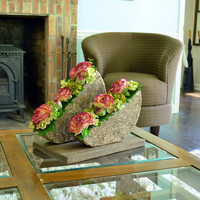 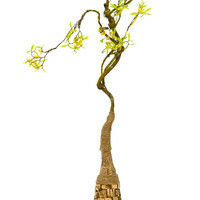 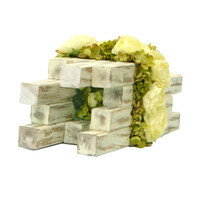 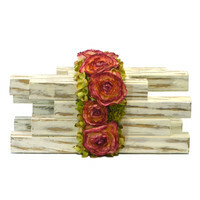 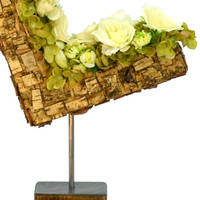 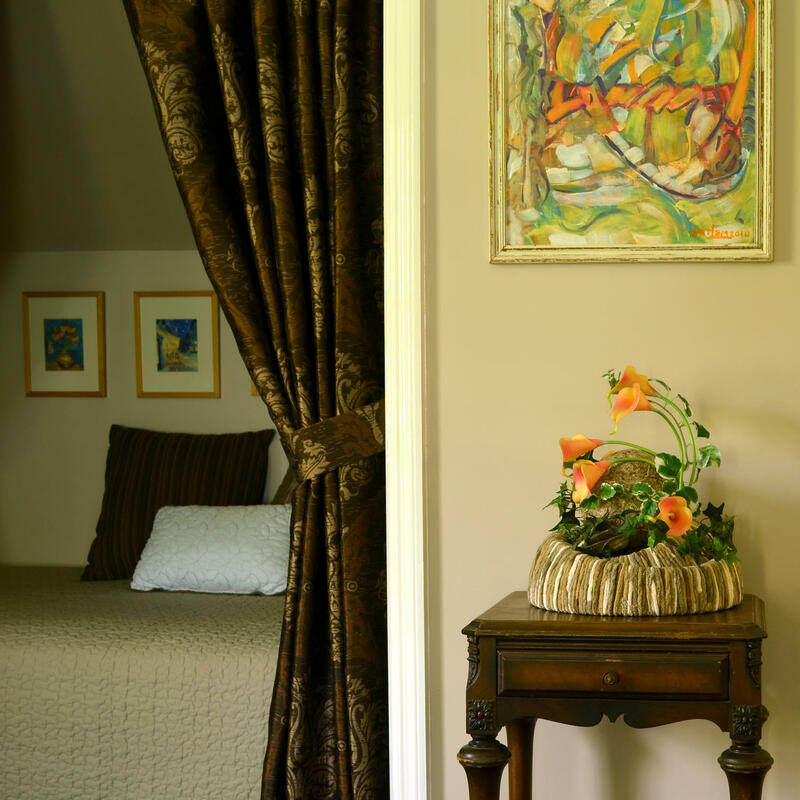 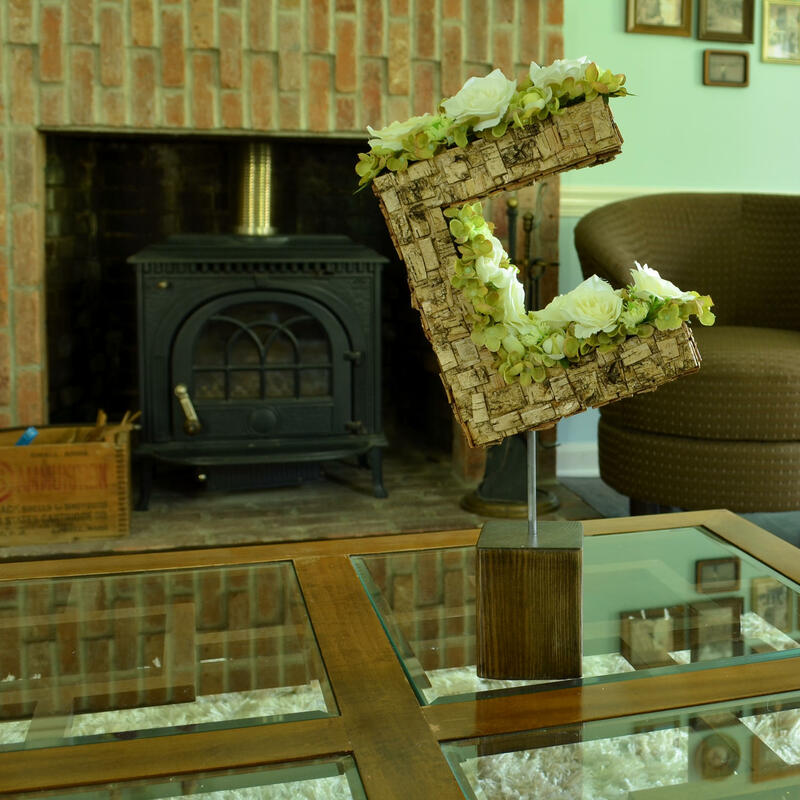 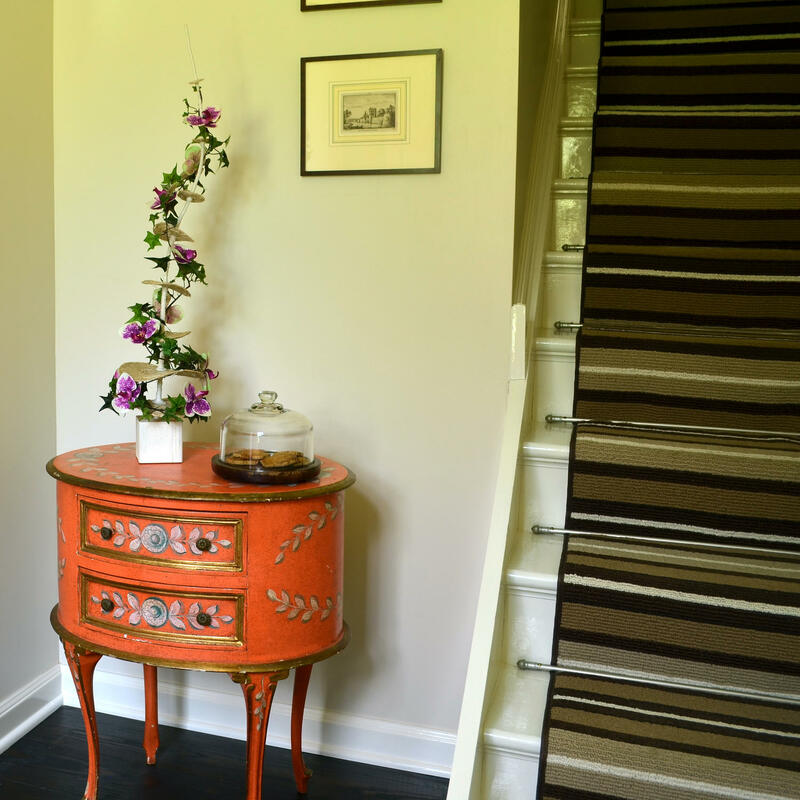 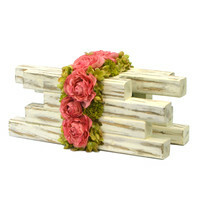 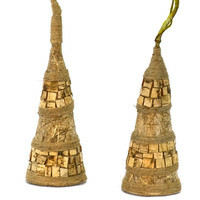 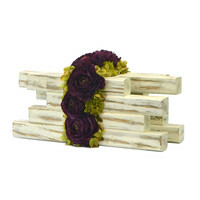 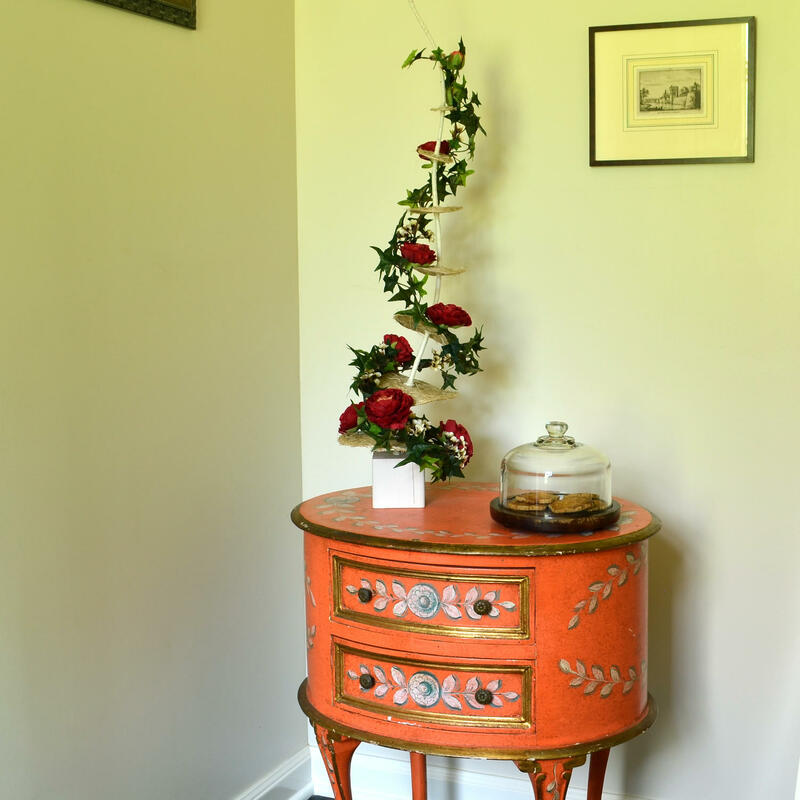 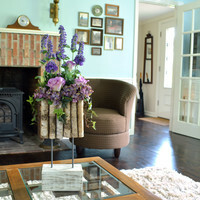 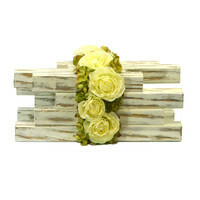 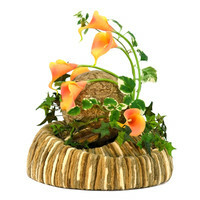 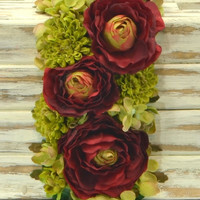 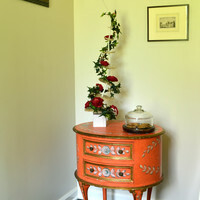 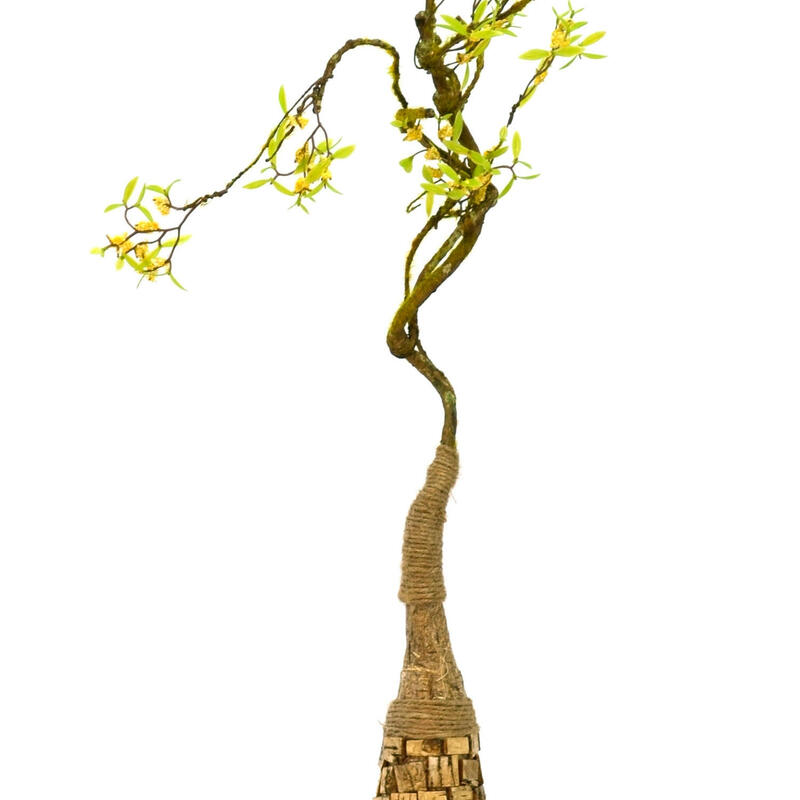 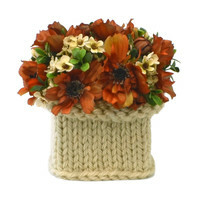 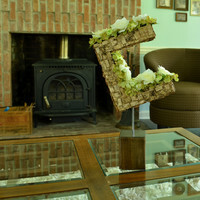 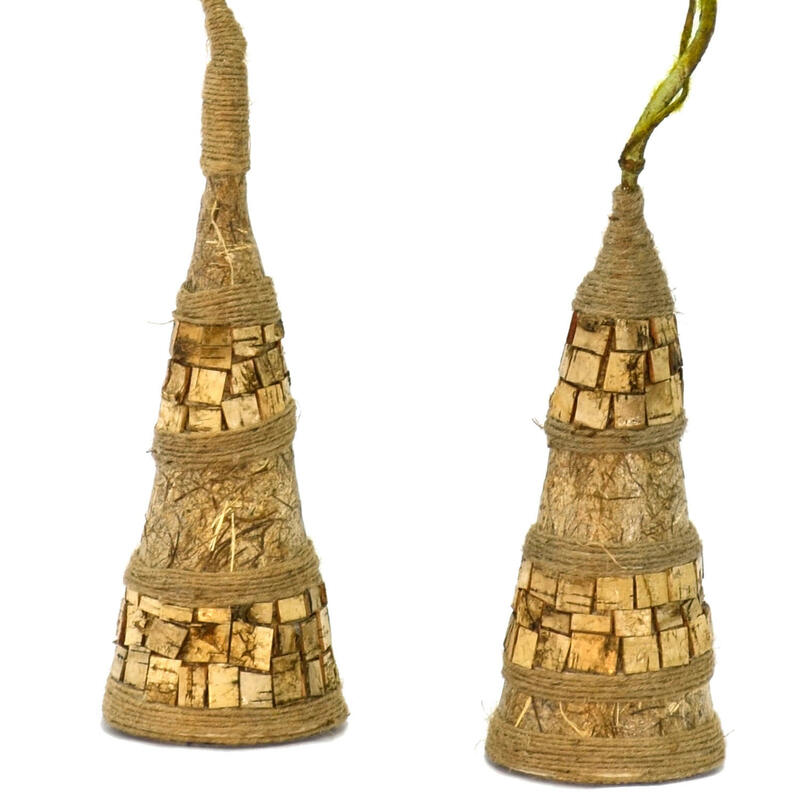 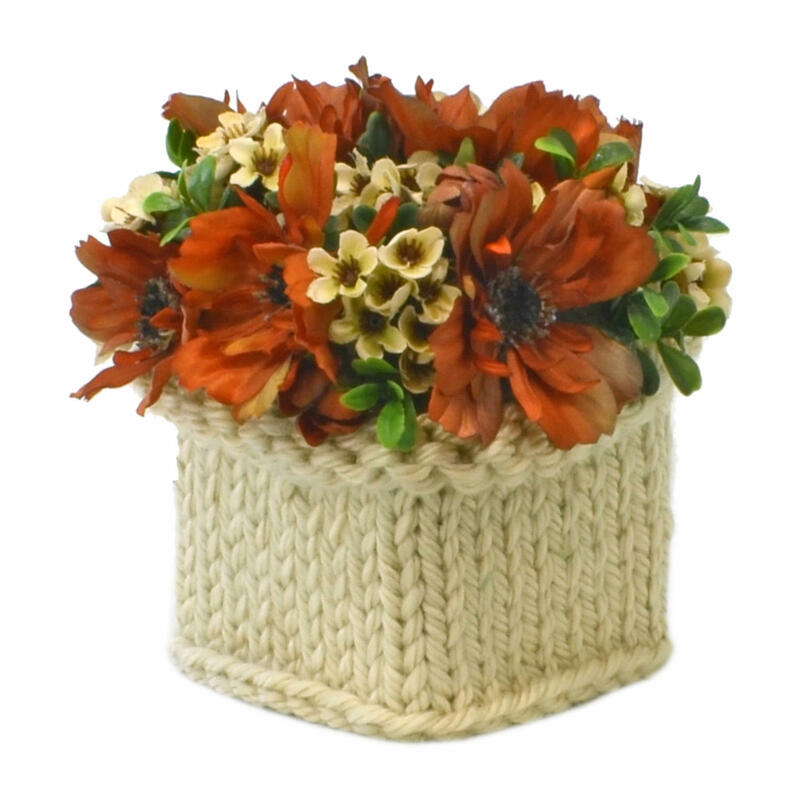 Kantelen is a centerpiece that fits well in a rustic décor. 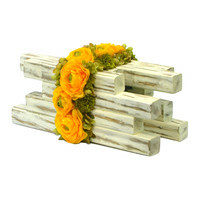 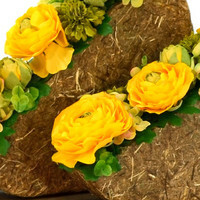 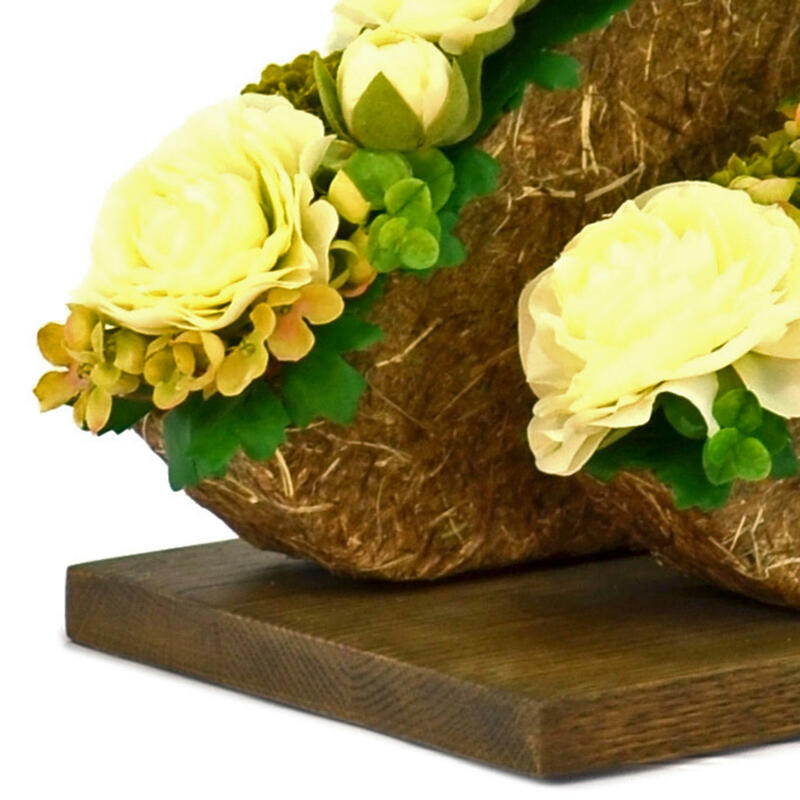 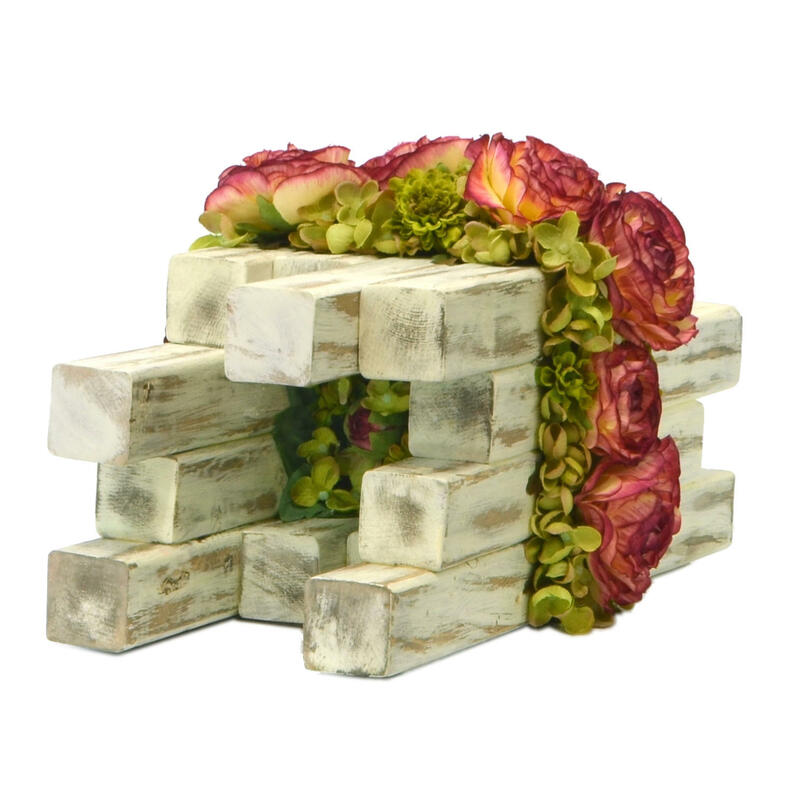 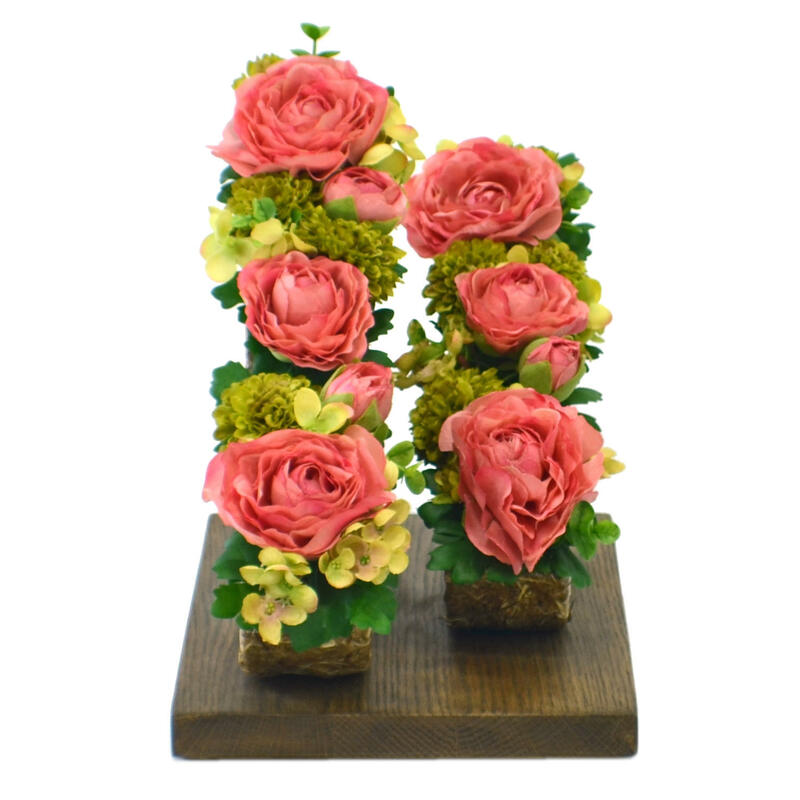 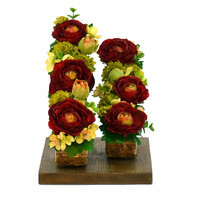 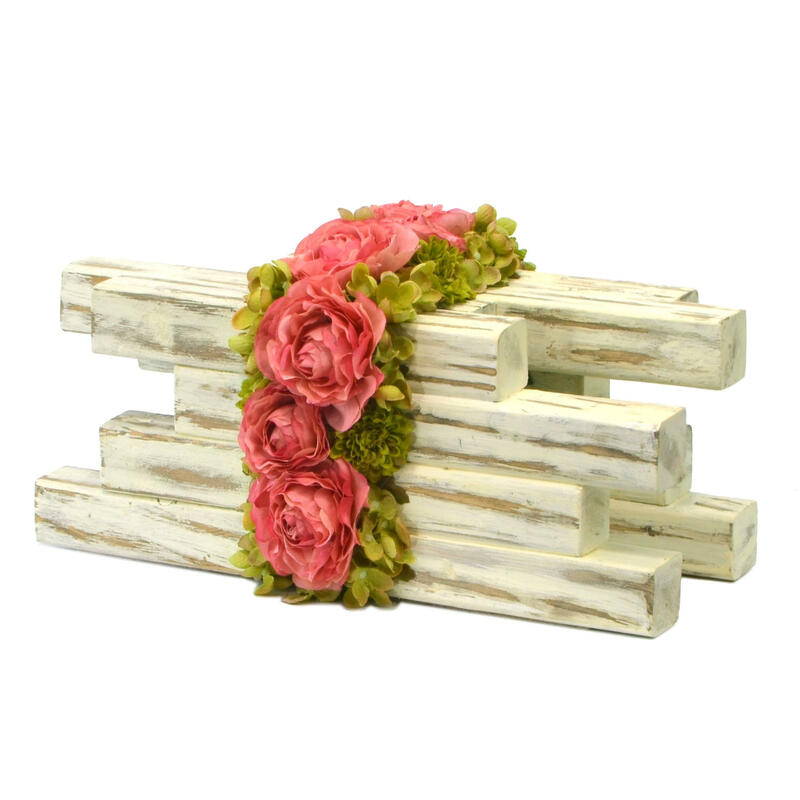 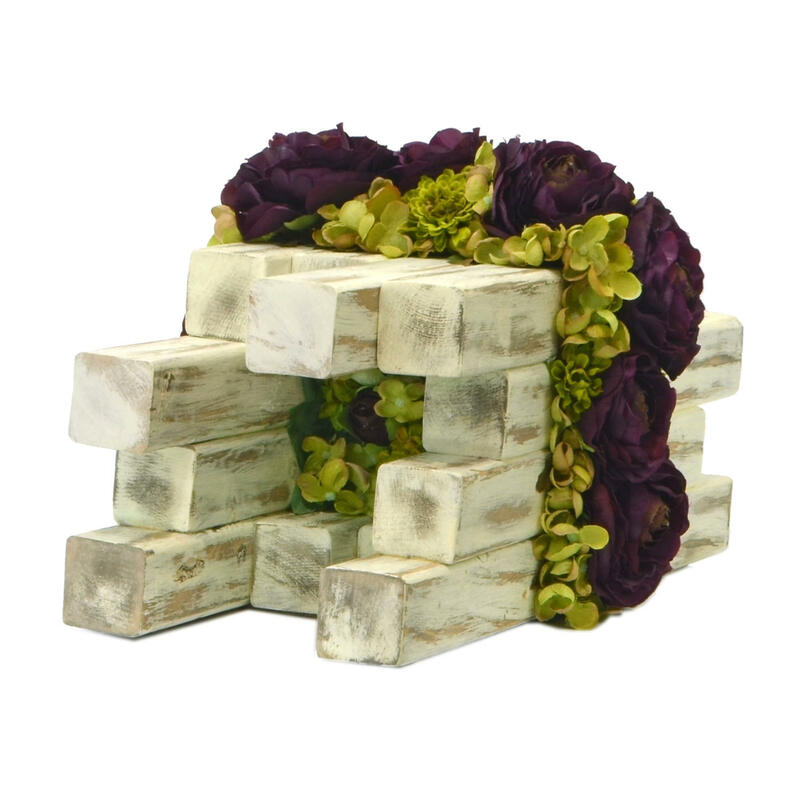 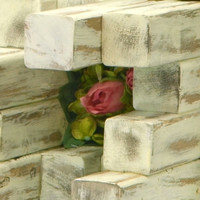 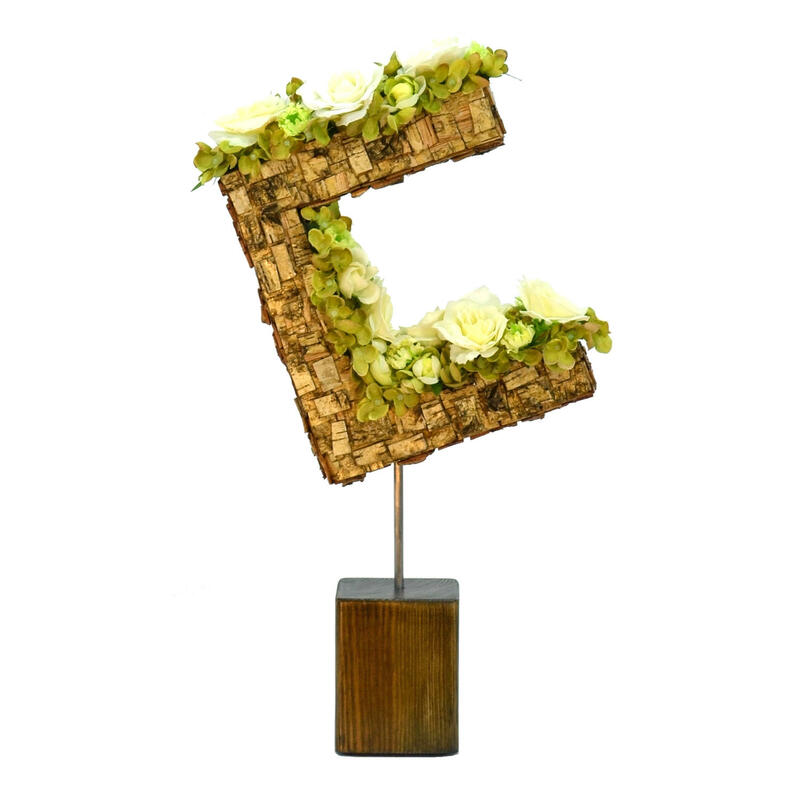 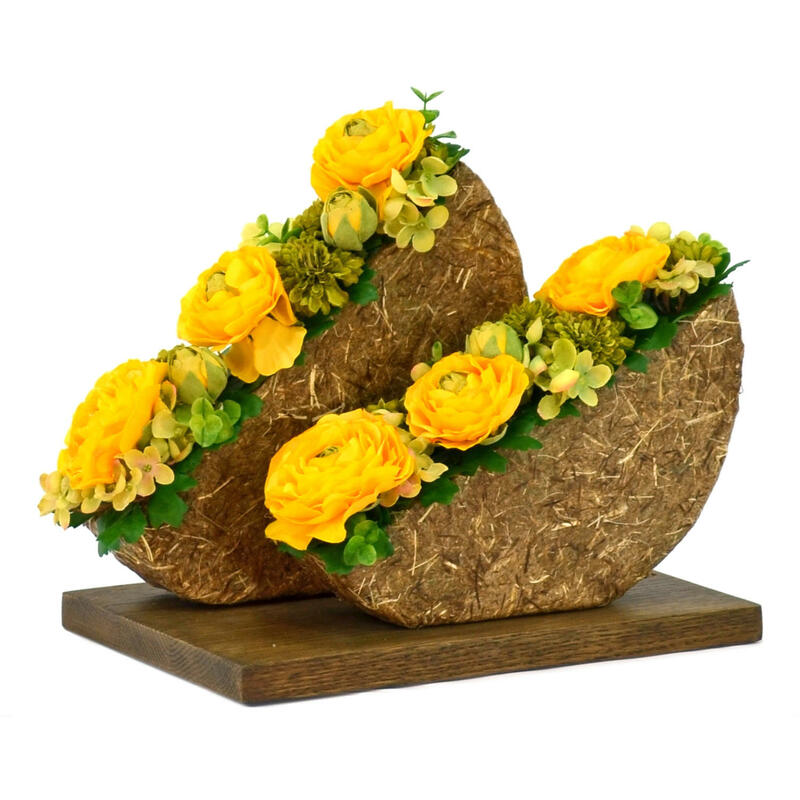 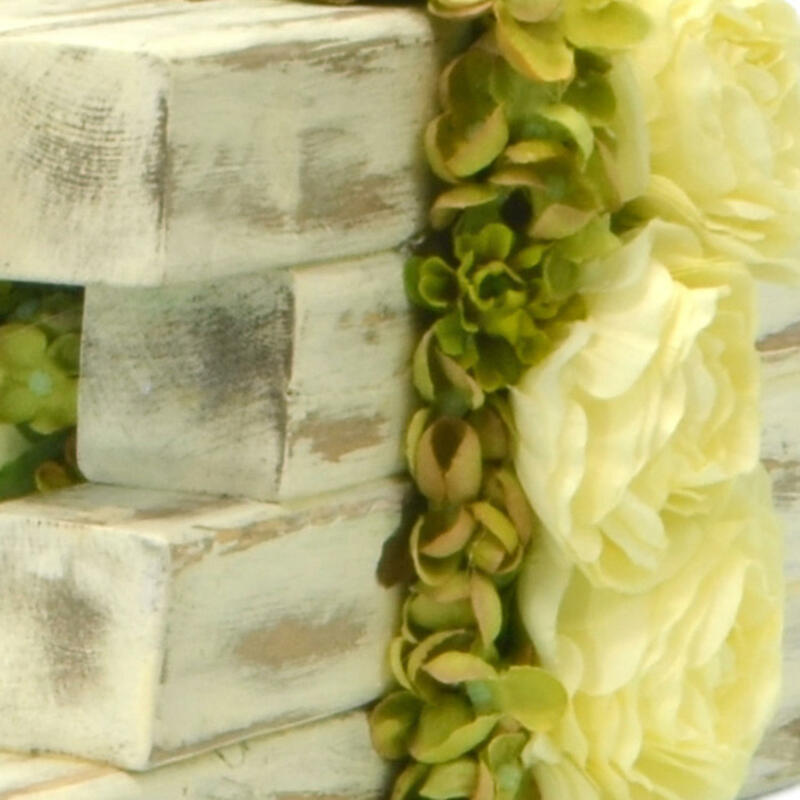 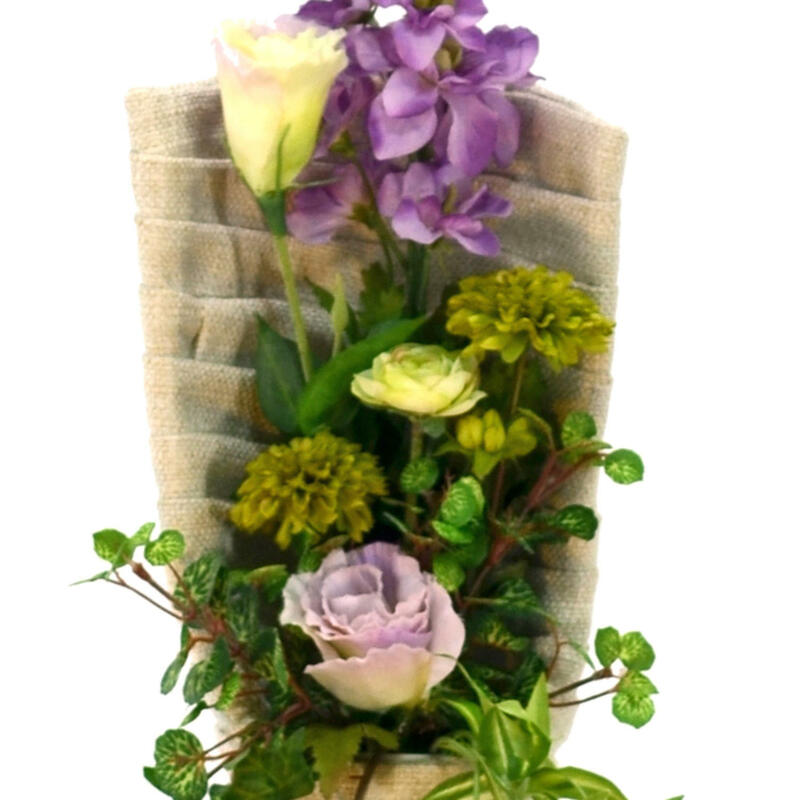 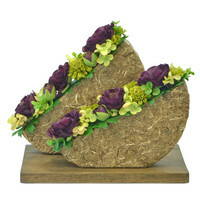 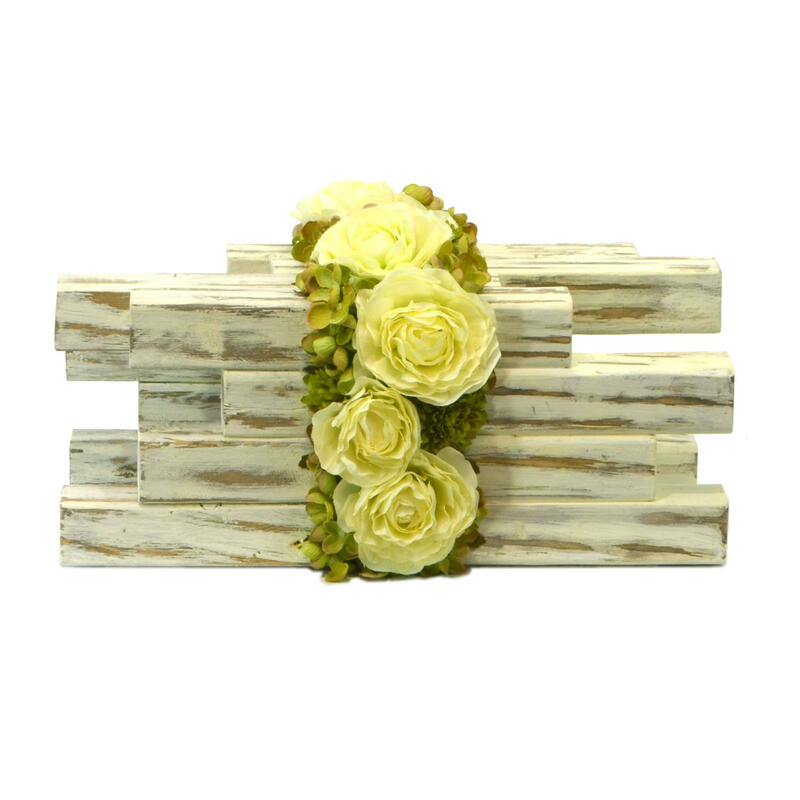 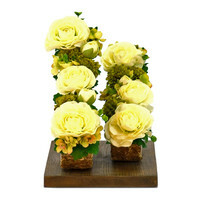 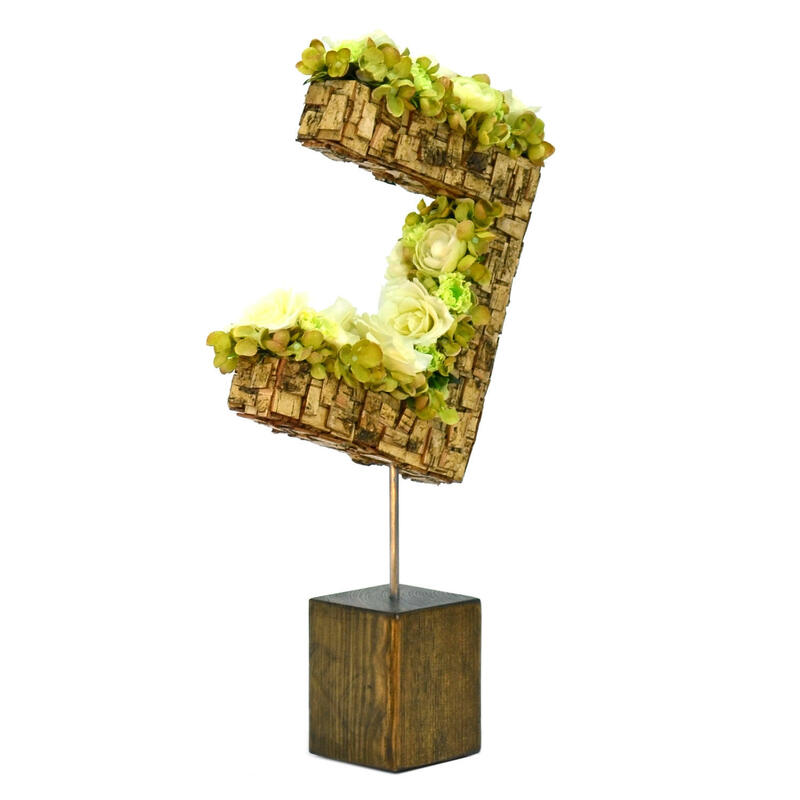 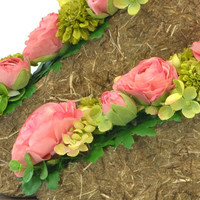 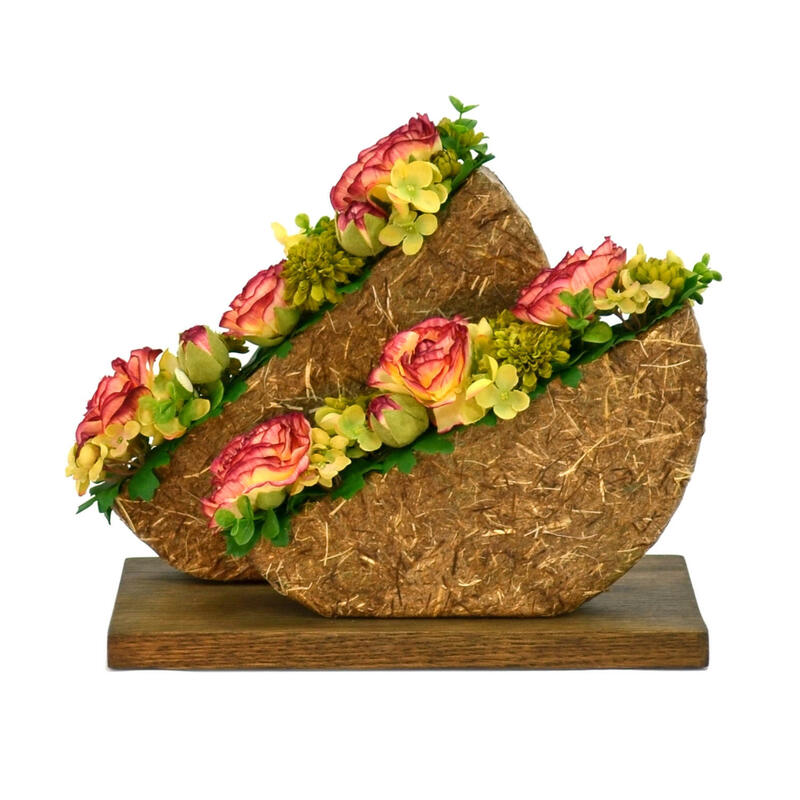 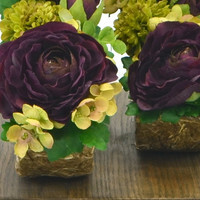 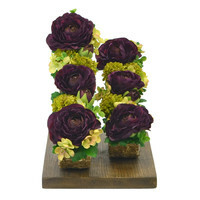 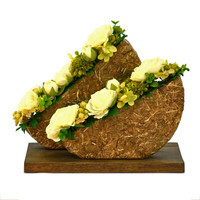 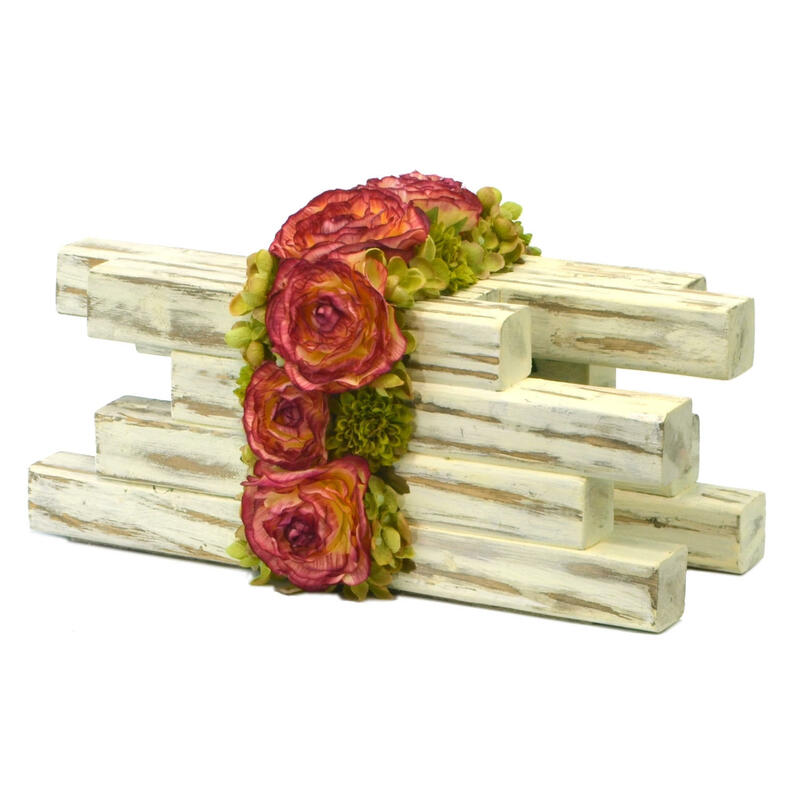 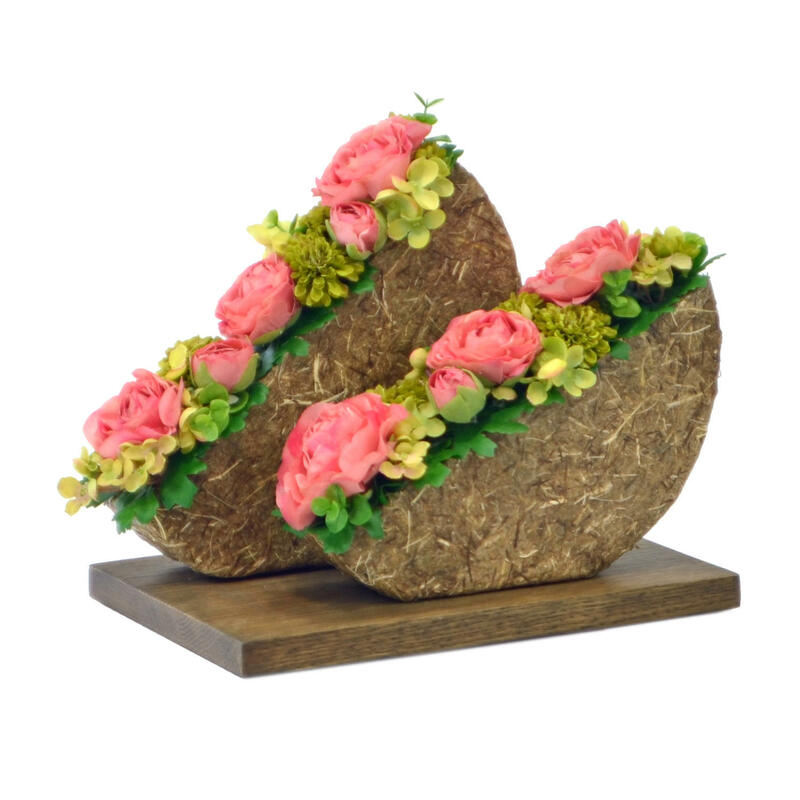 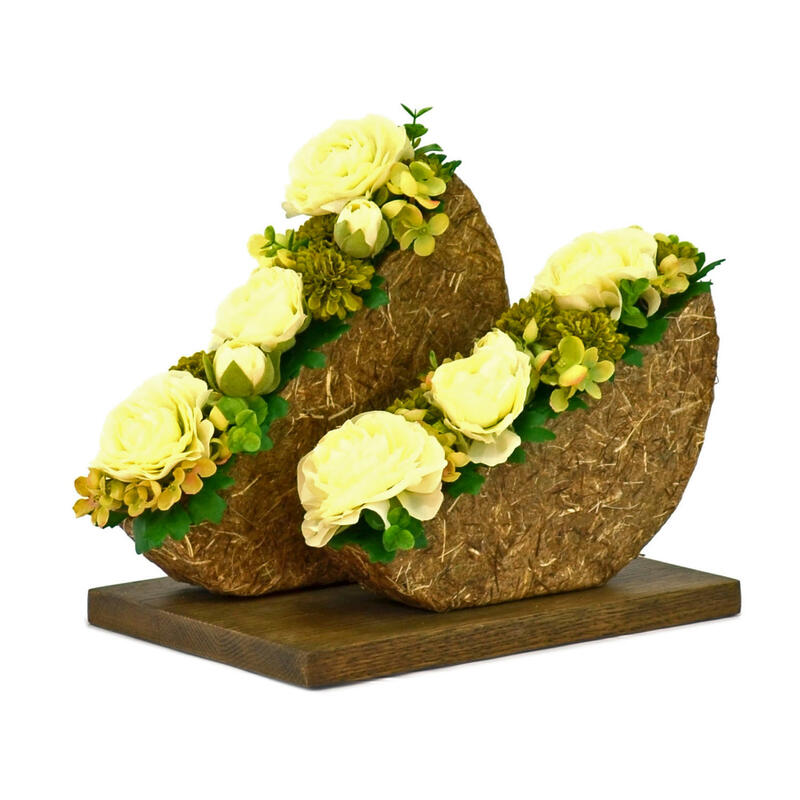 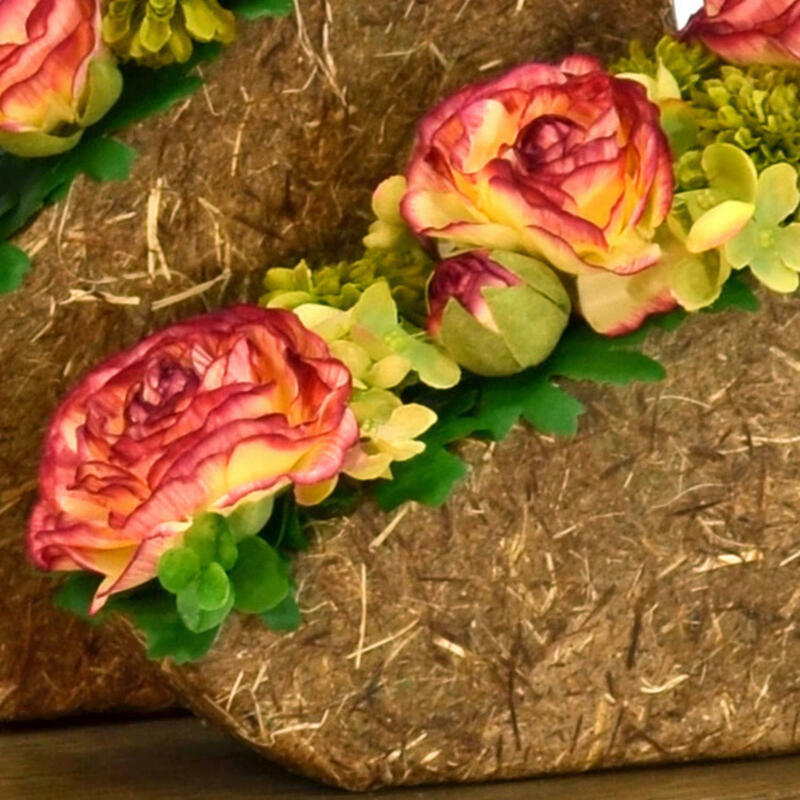 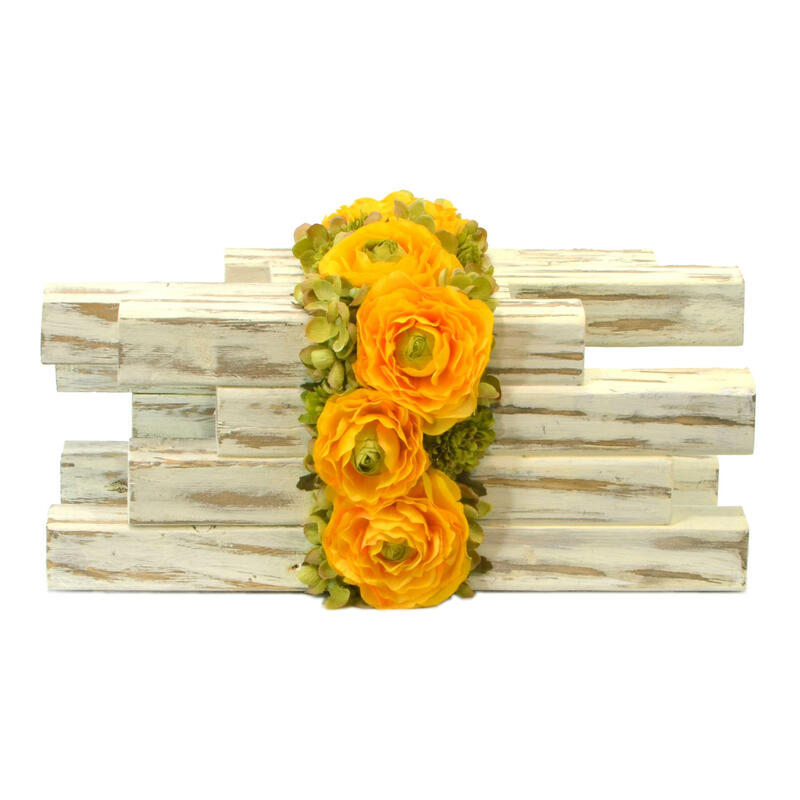 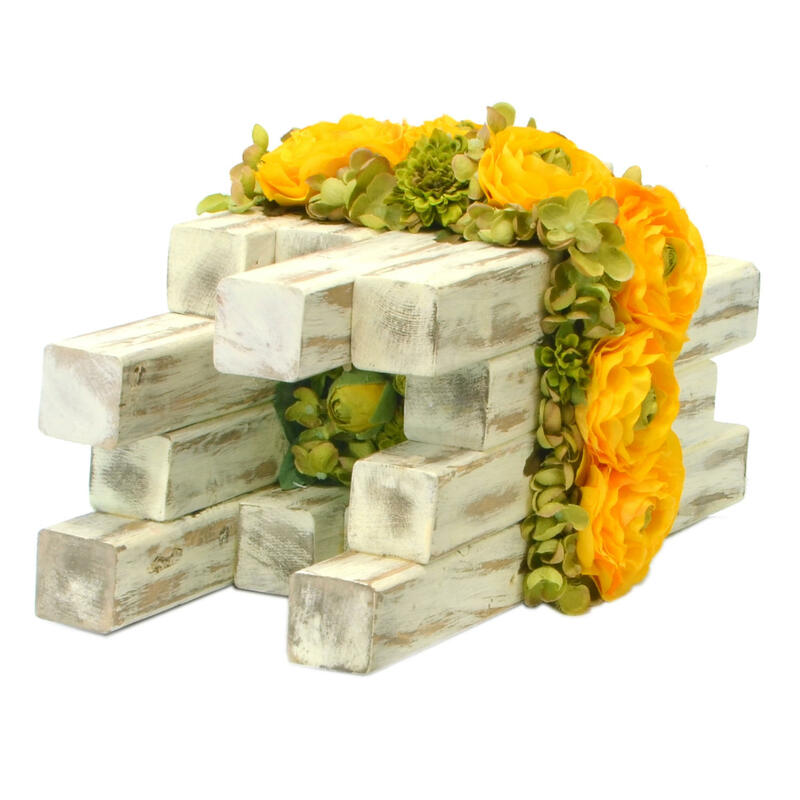 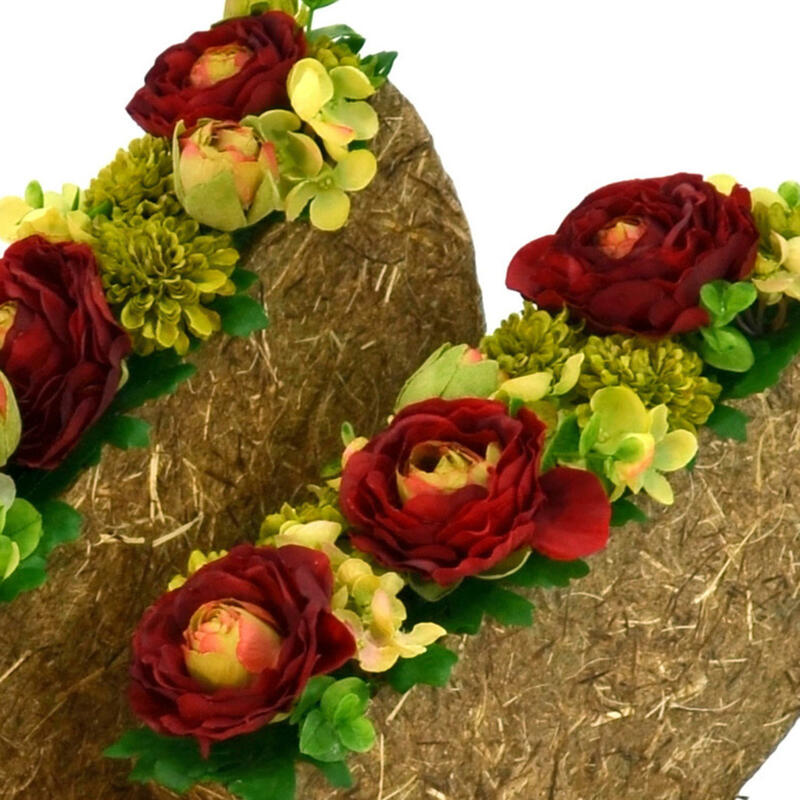 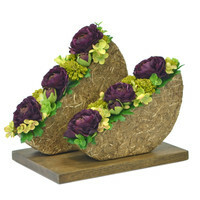 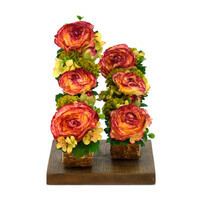 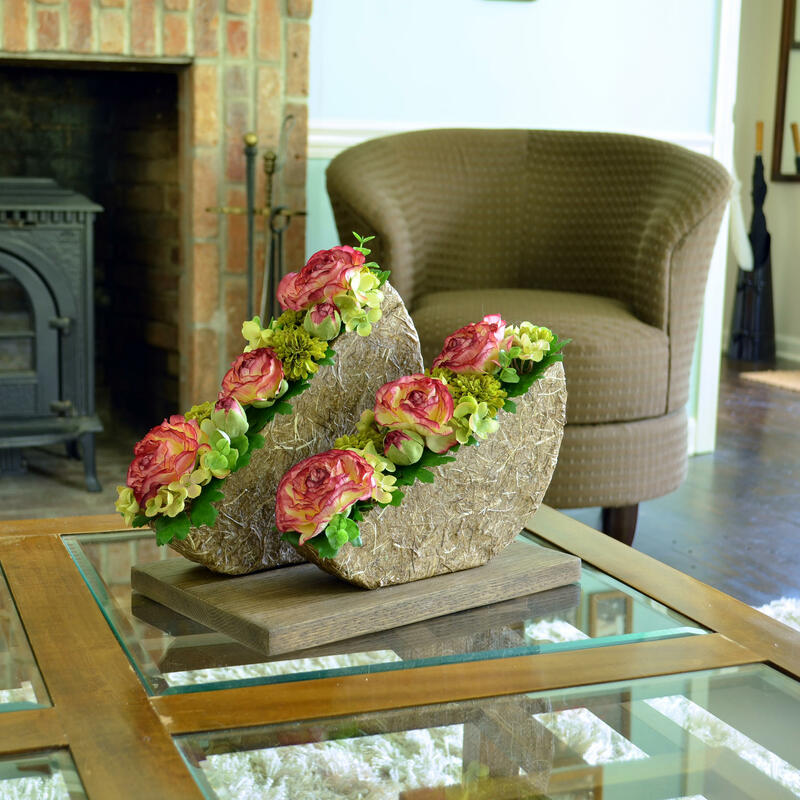 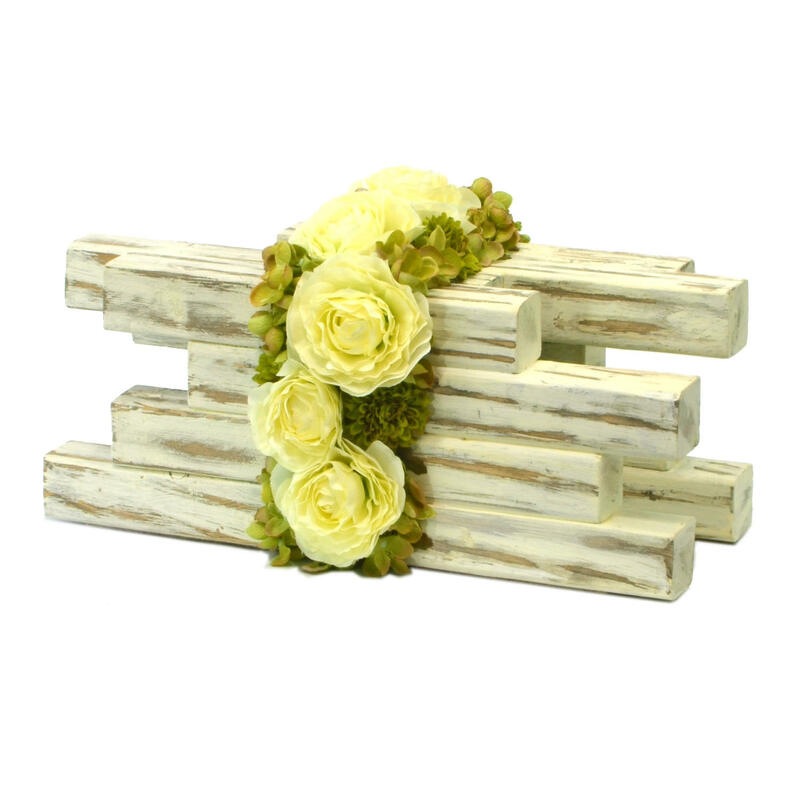 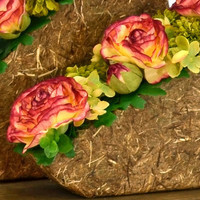 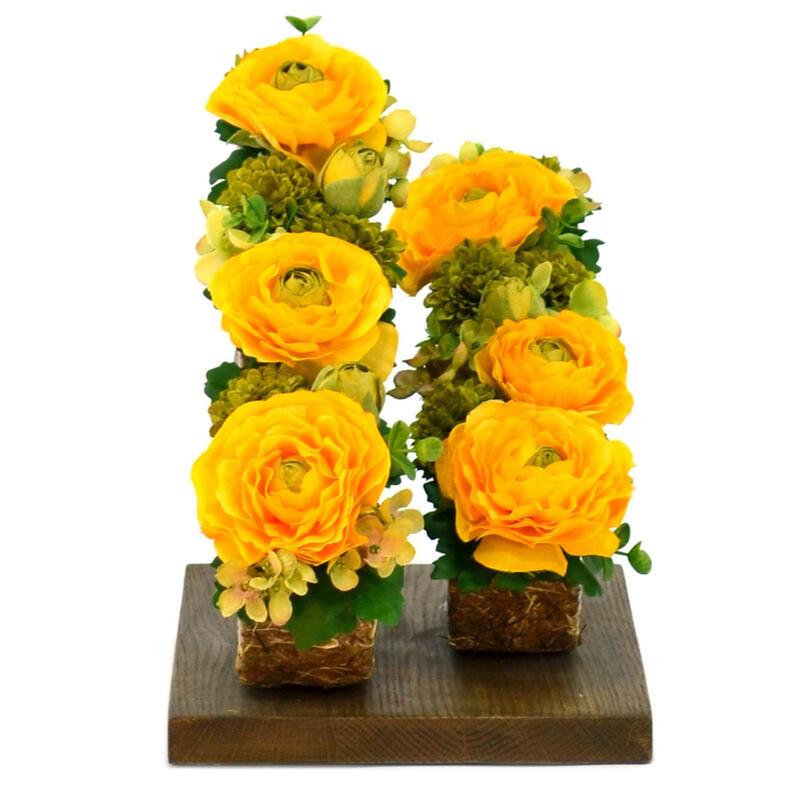 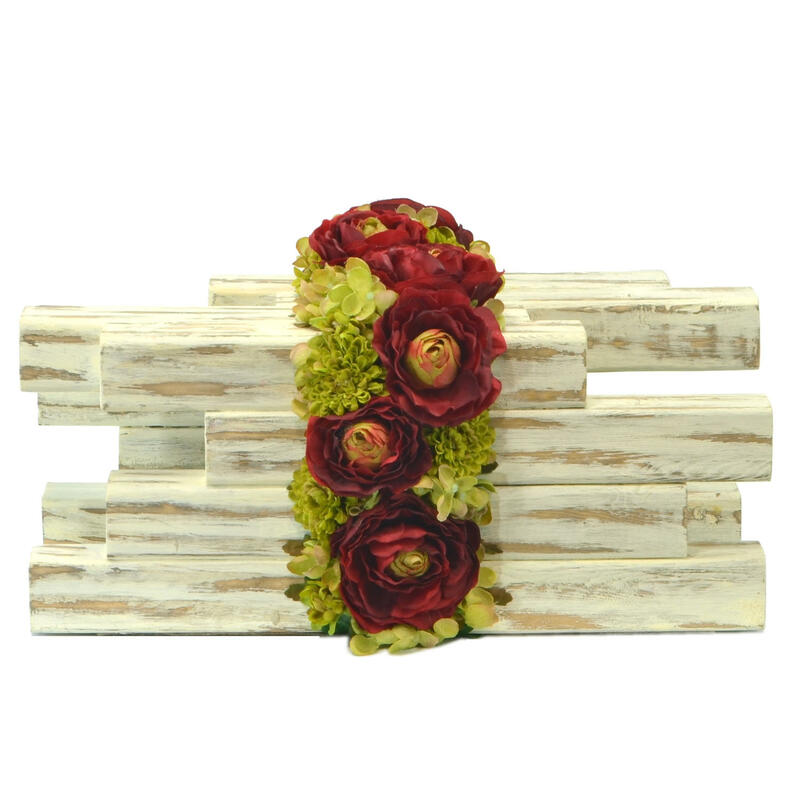 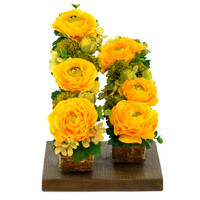 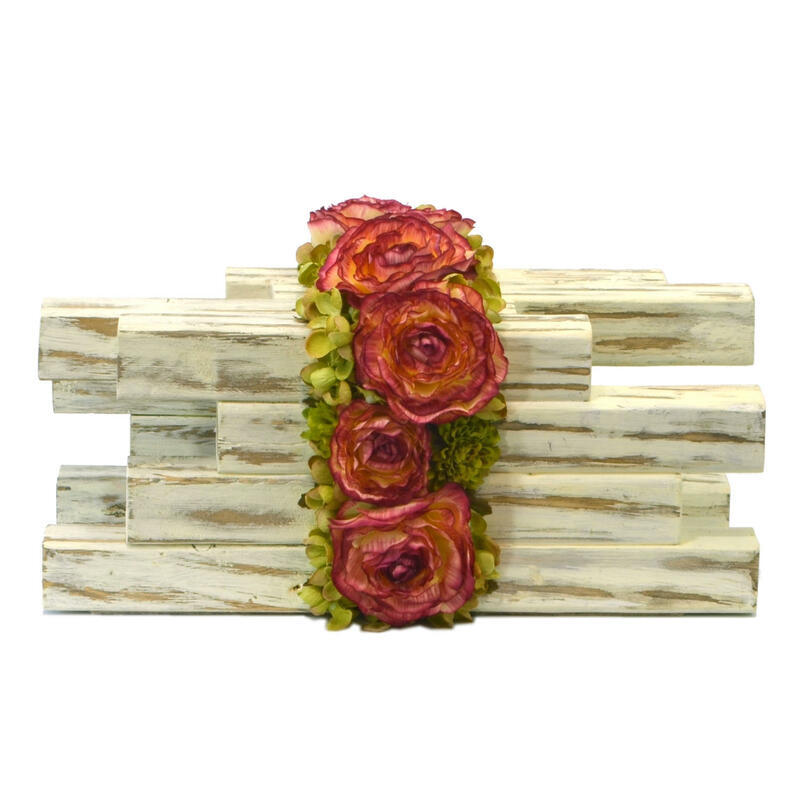 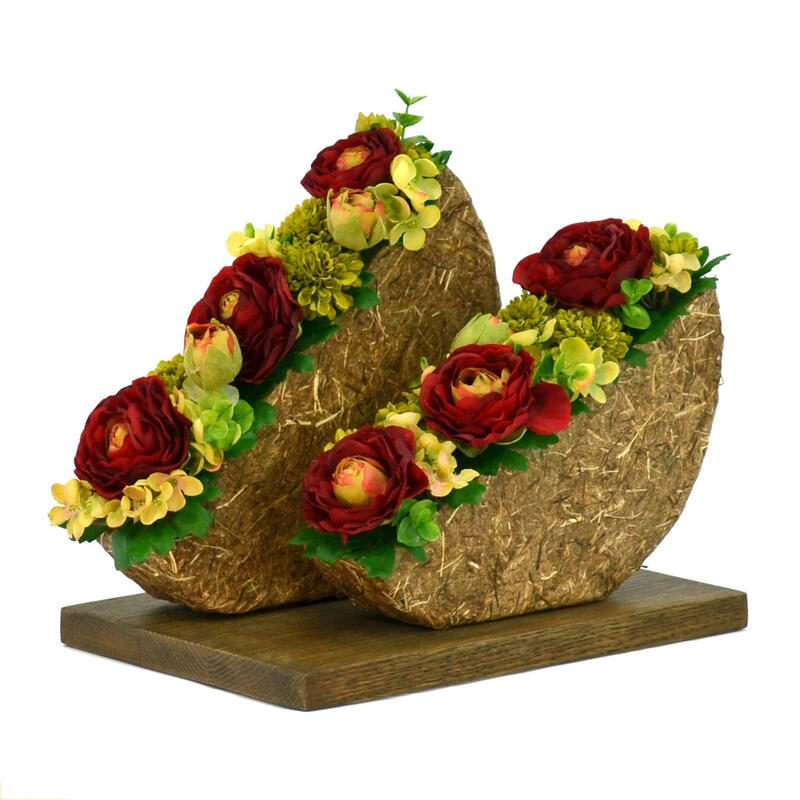 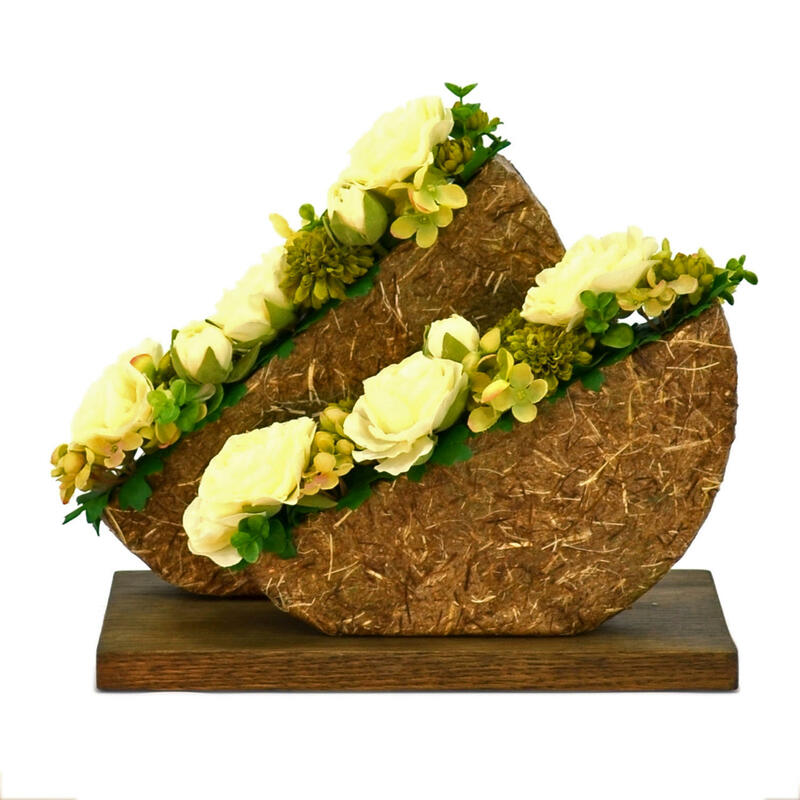 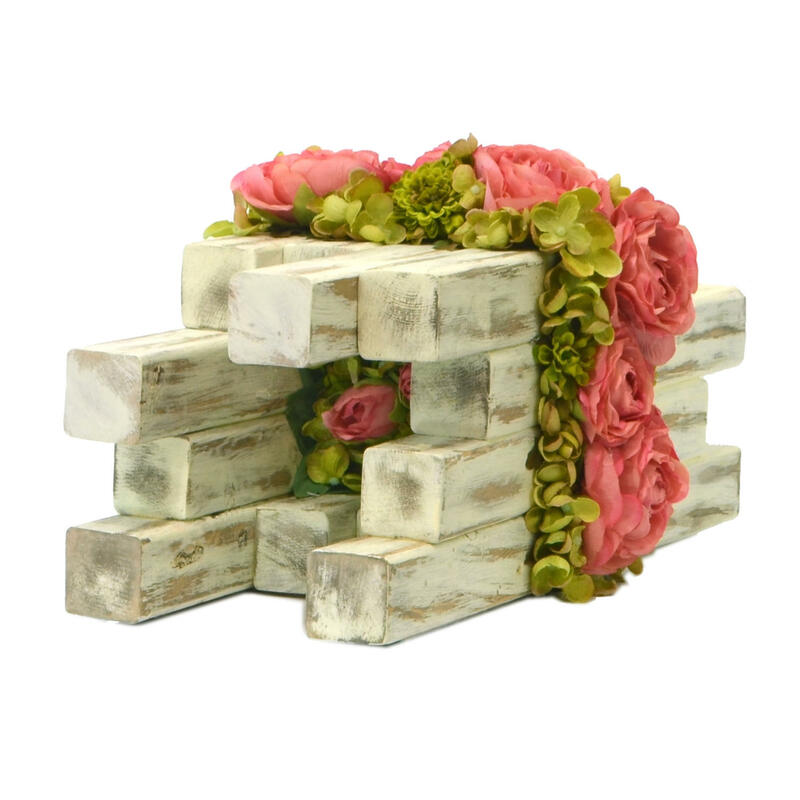 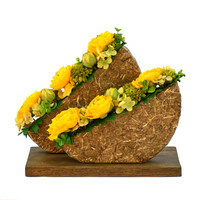 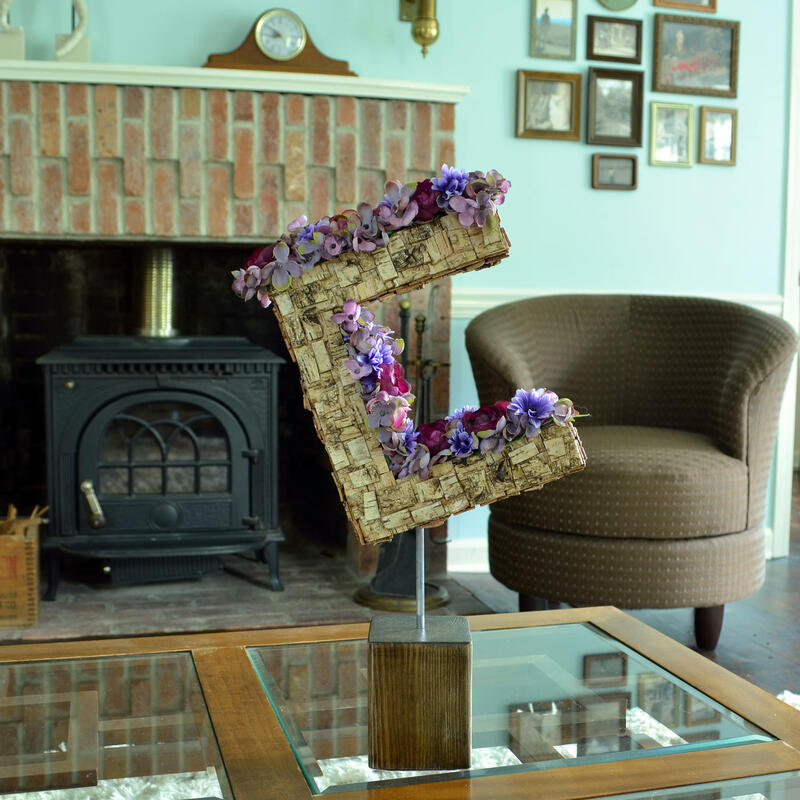 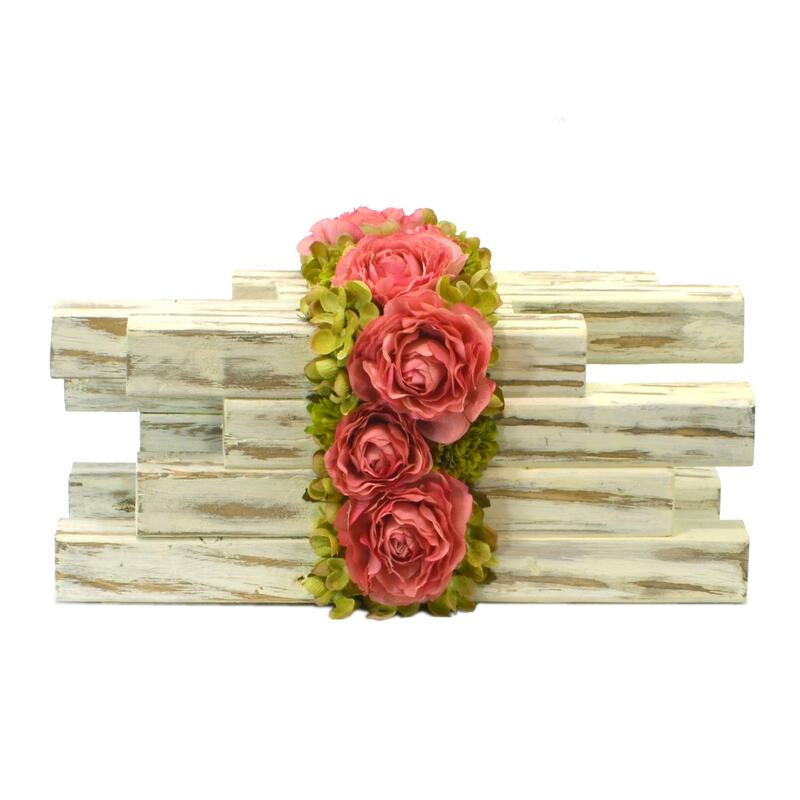 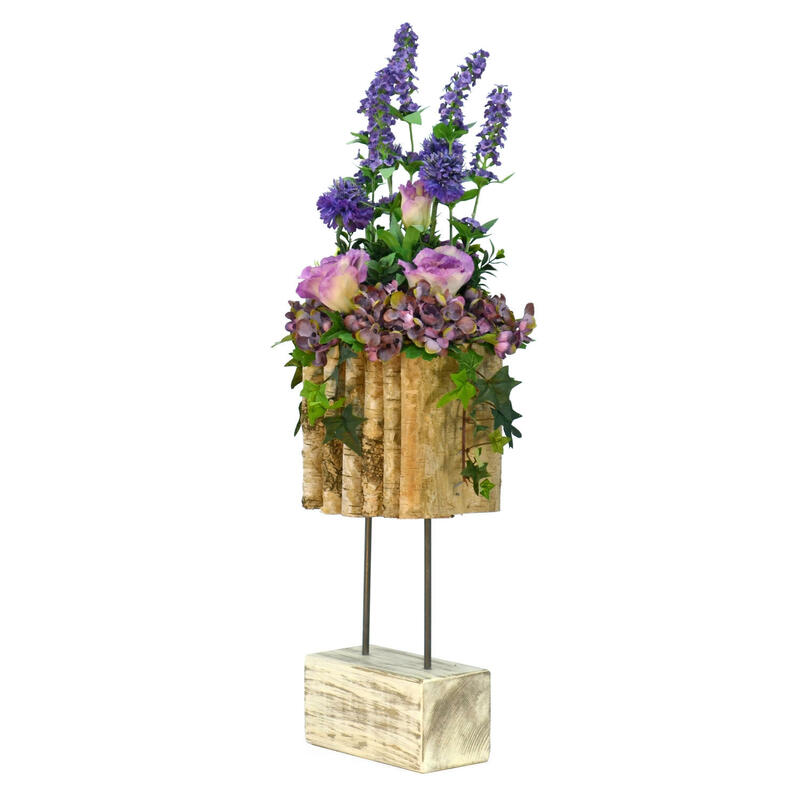 Small distressed blocks of wood form a robust base for a romantic floral arrangement with ranunculus, hydrangea and button mums. 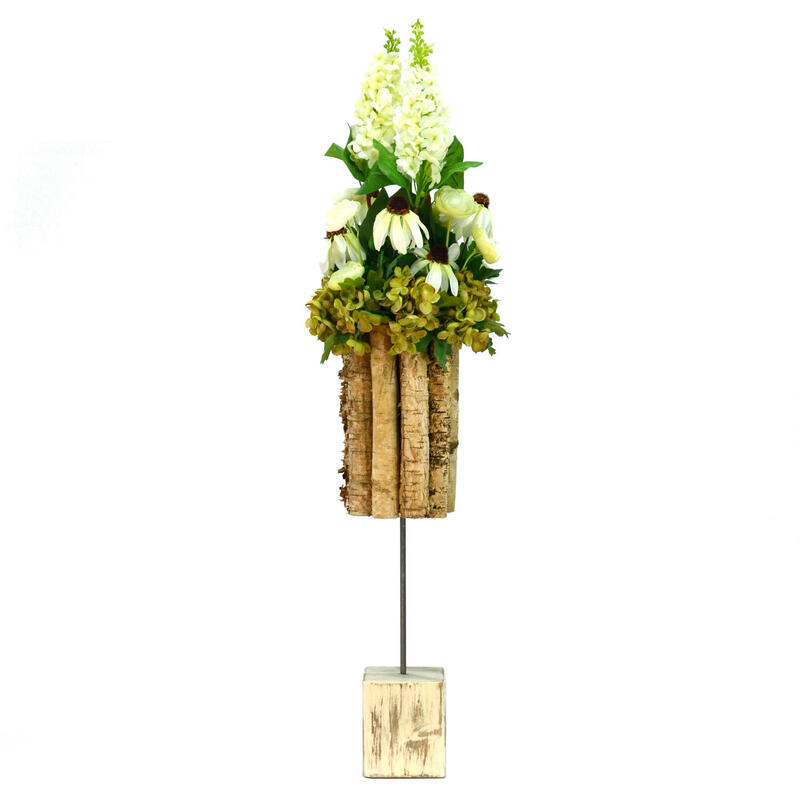 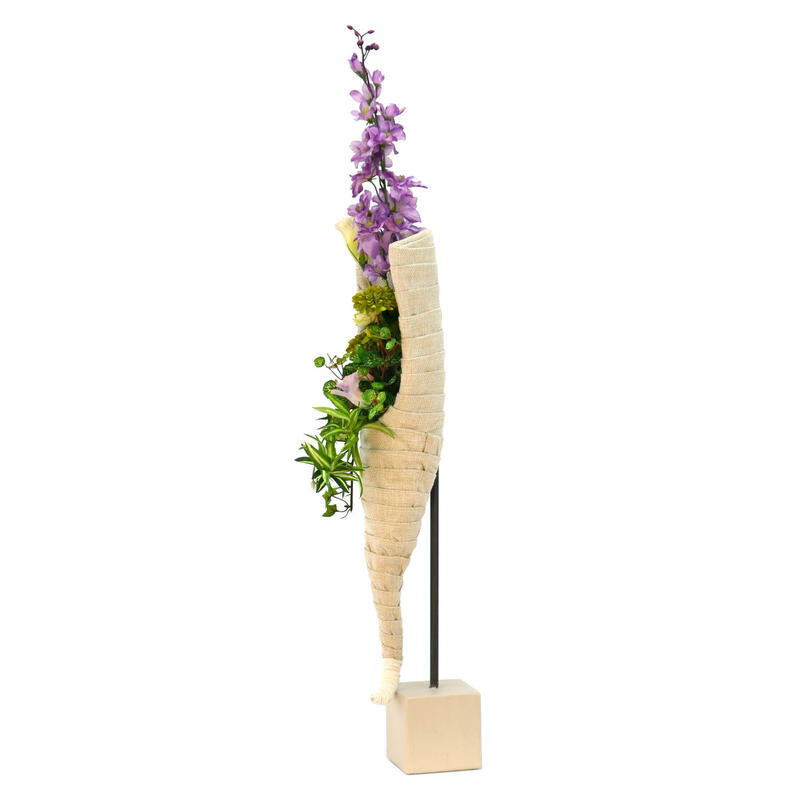 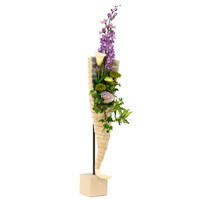 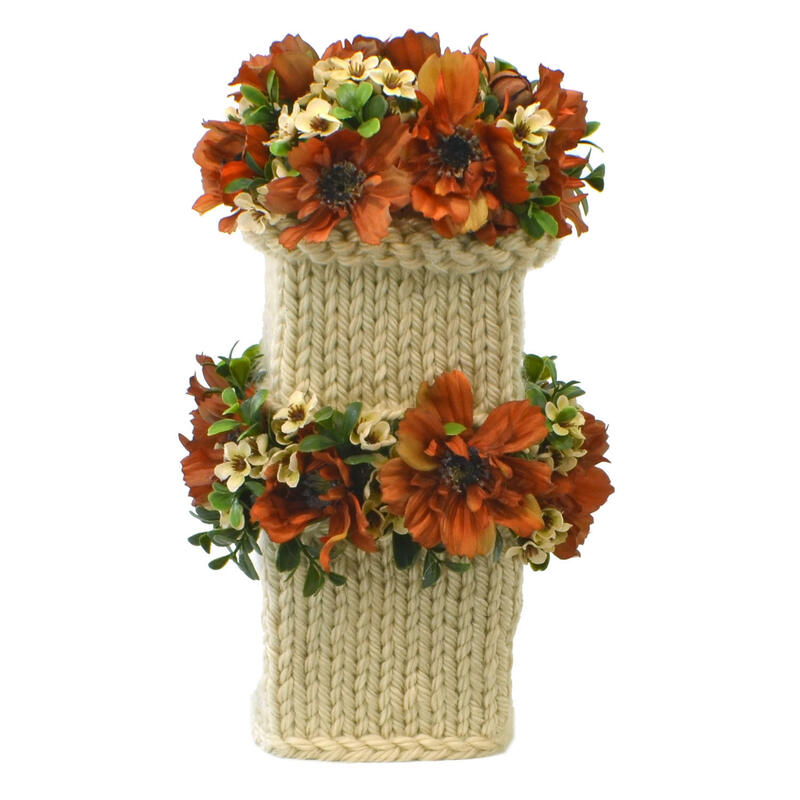 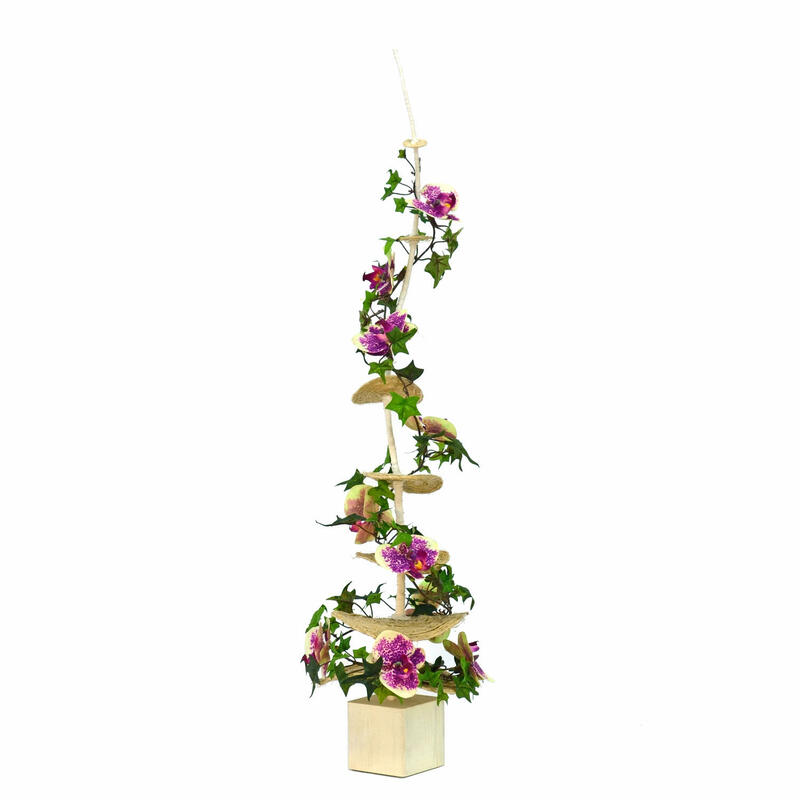 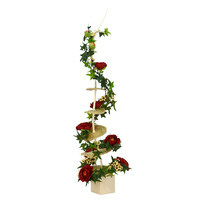 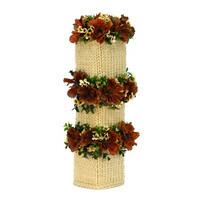 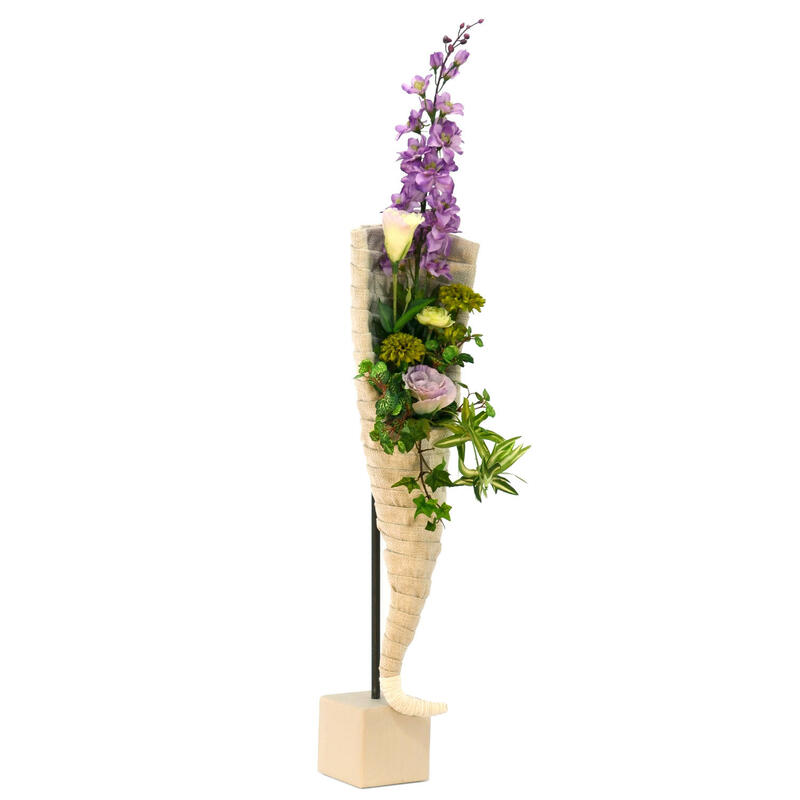 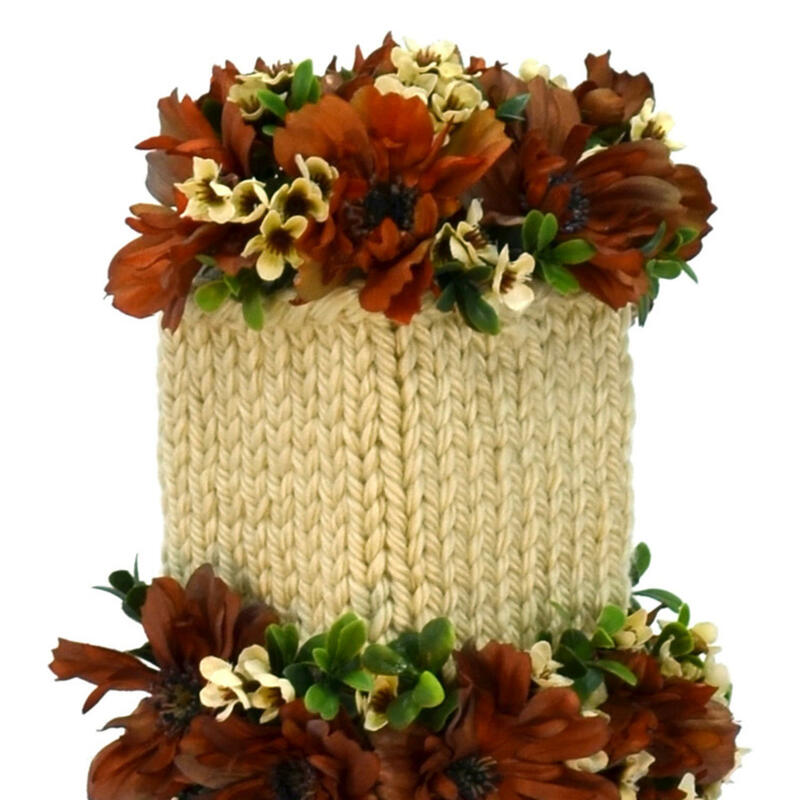 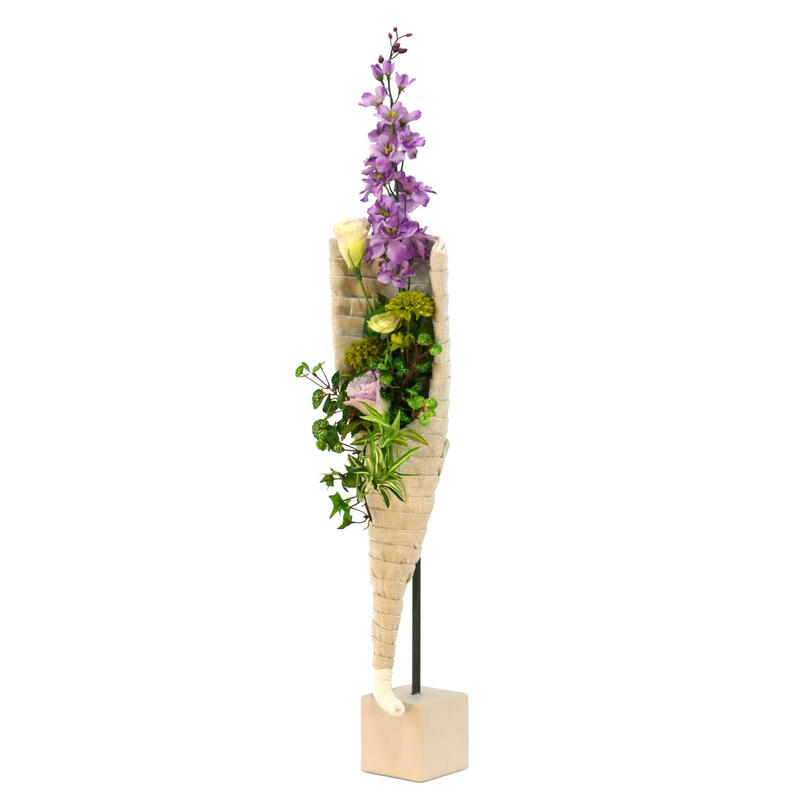 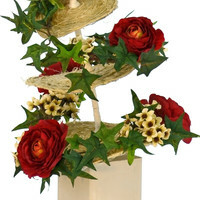 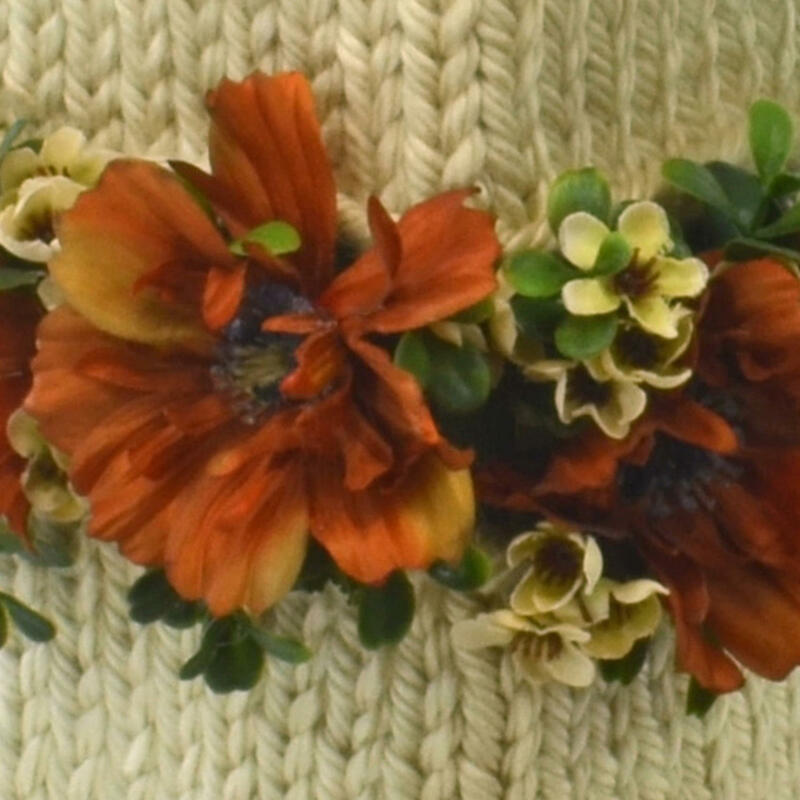 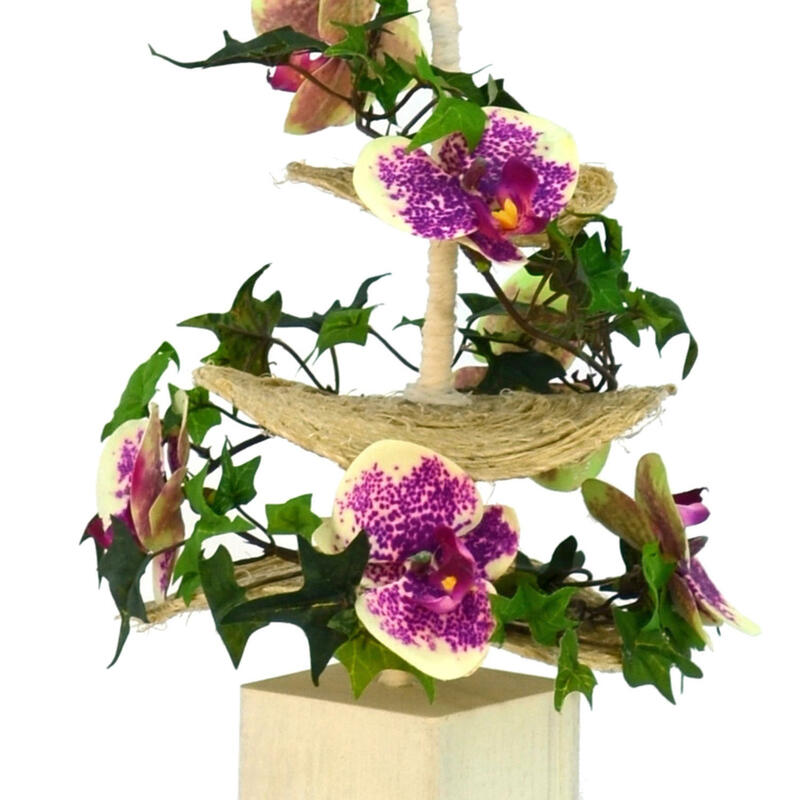 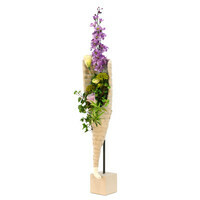 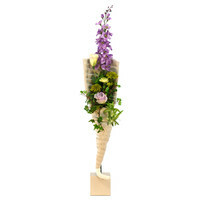 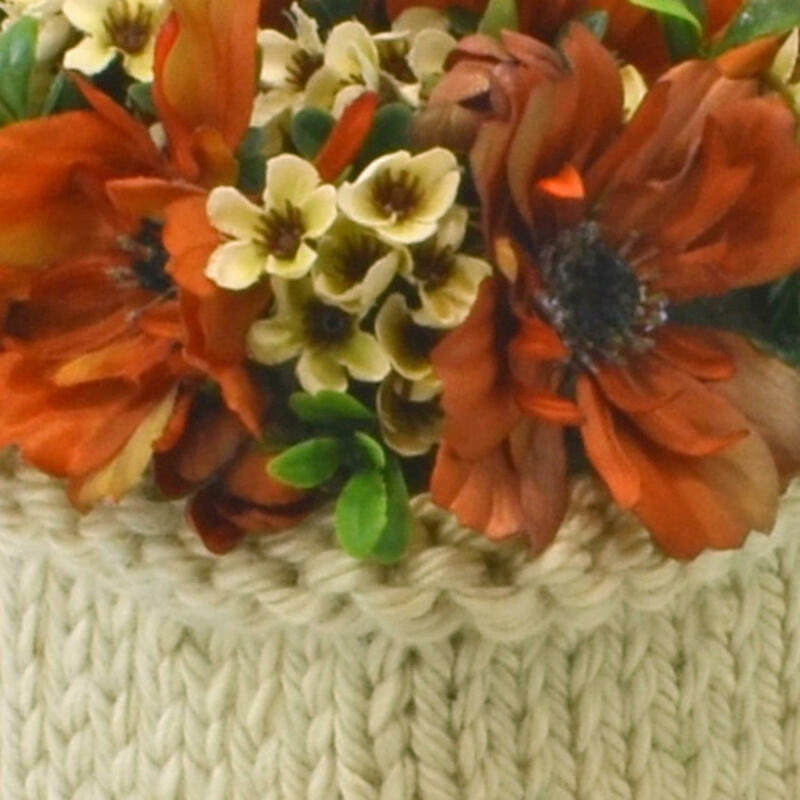 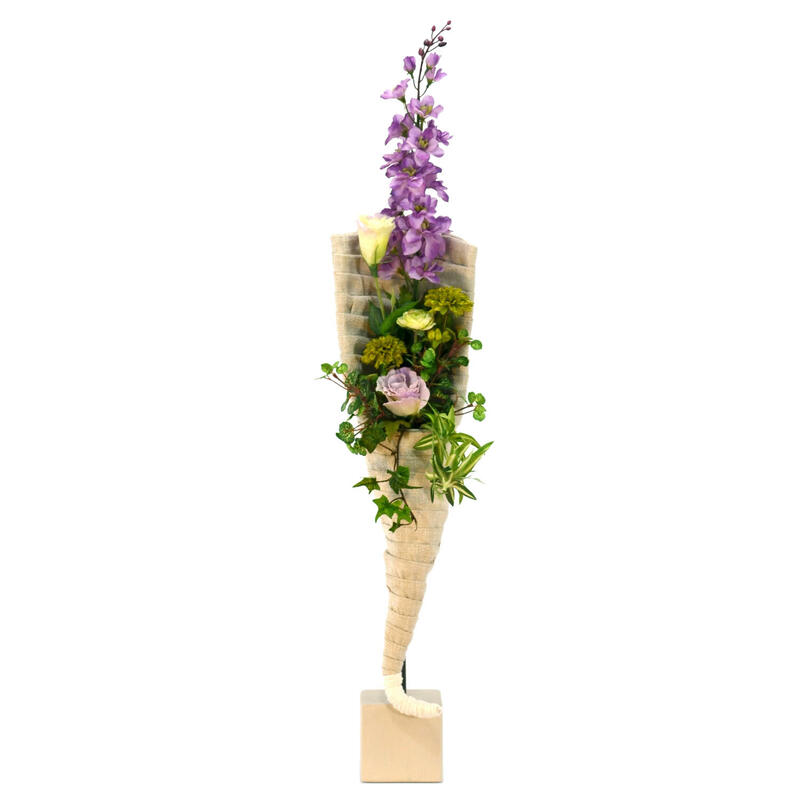 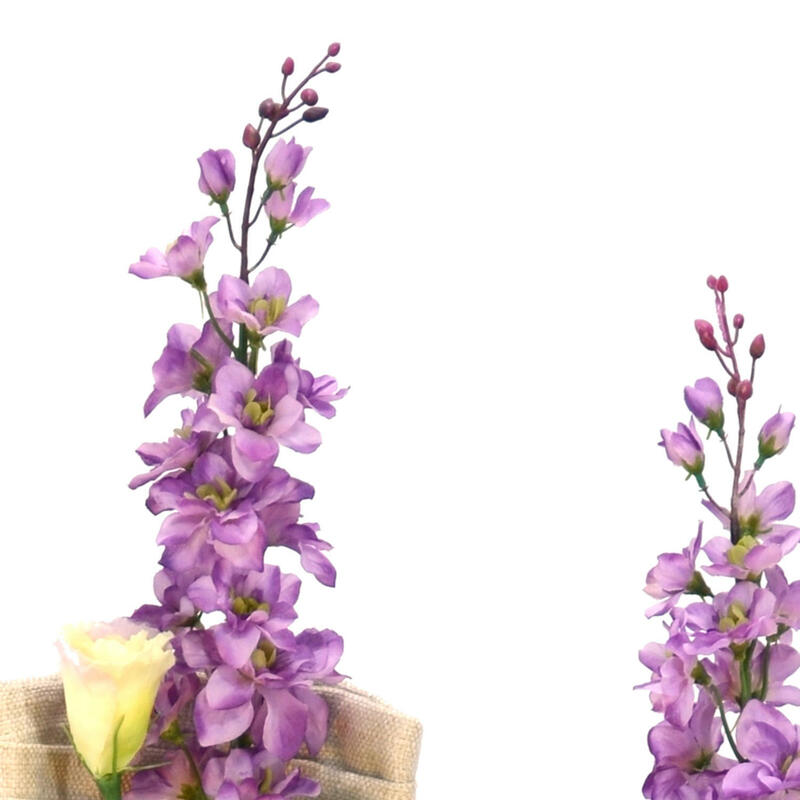 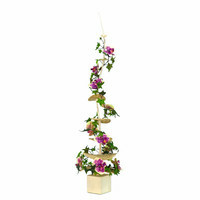 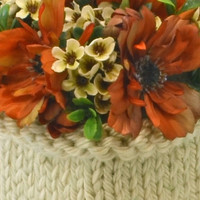 Breistapel is the two tier version of 'Breitoren': a hand-knitted column is combined with tasteful flower arrangements of cosmos, waxflower and boxwood. 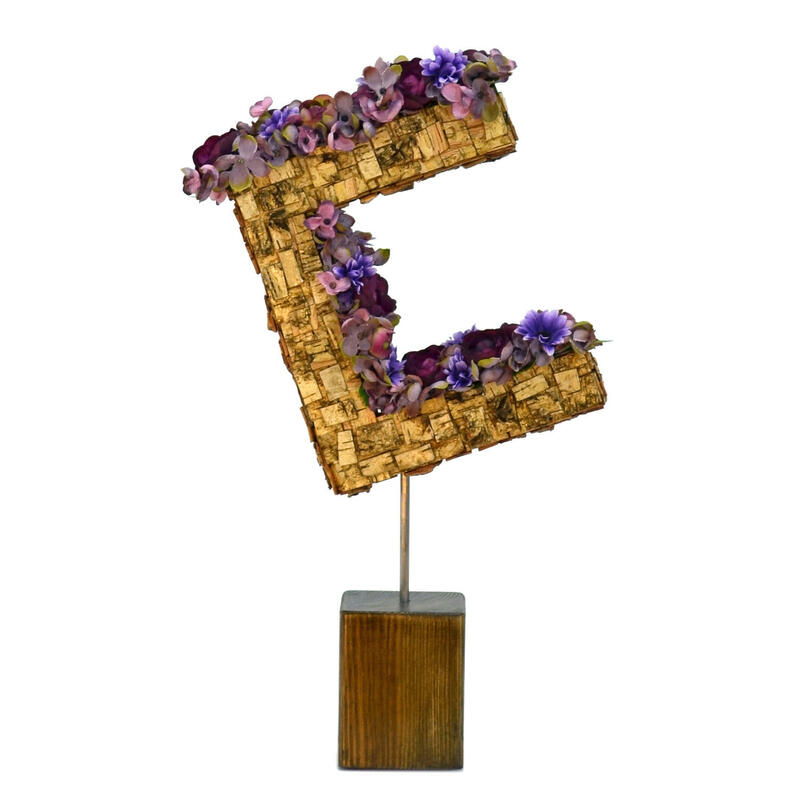 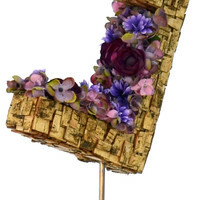 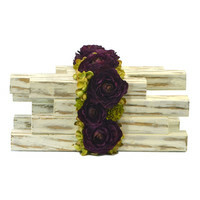 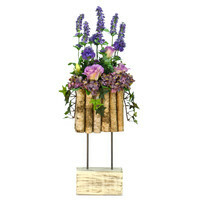 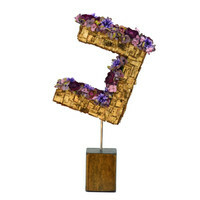 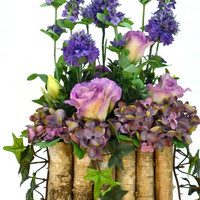 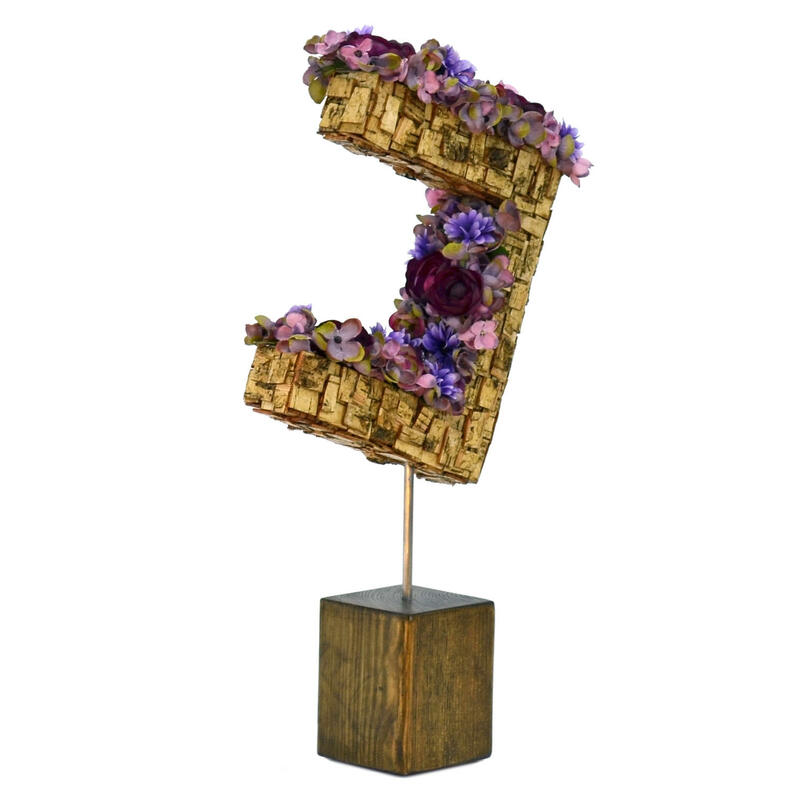 Blokberken is a rustic design with a base of distressed wood, steel rods and folded birch filled with lavender, cornflower, lisianthus and hydrangea. 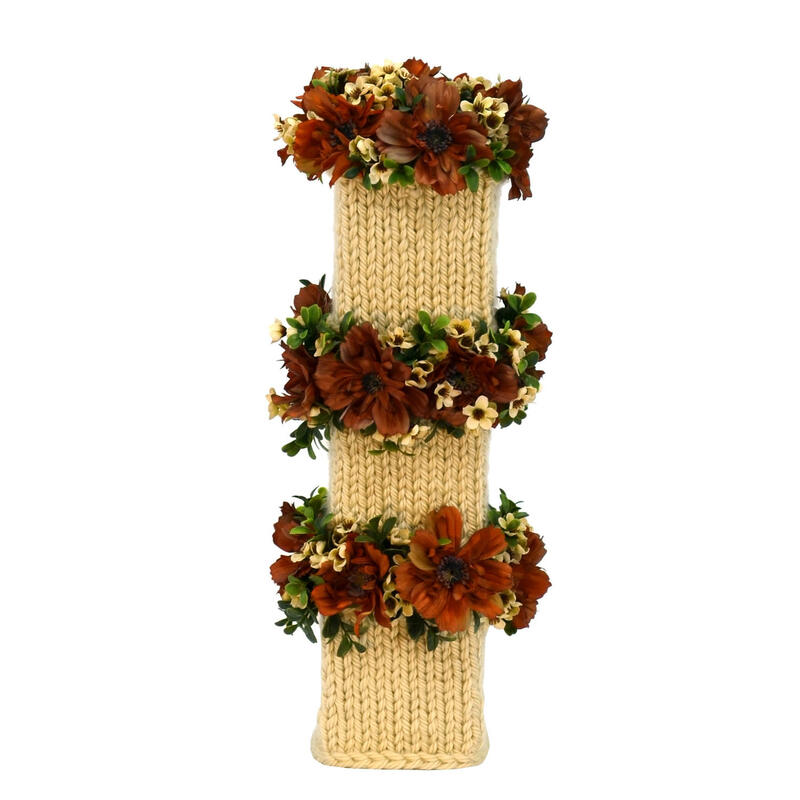 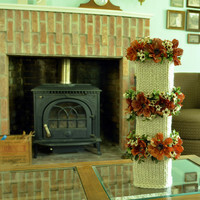 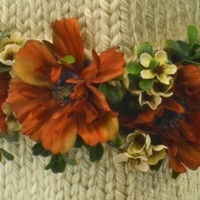 Breitoren Cosmos is a hand-knitted column with tasteful borders of brick cosmos, waxflower and boxwood. 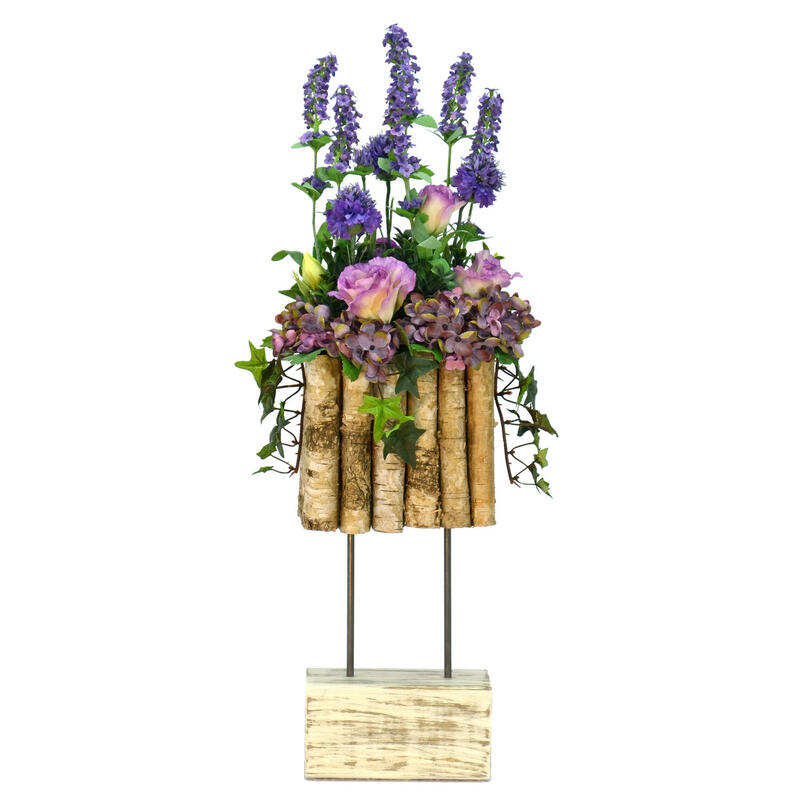 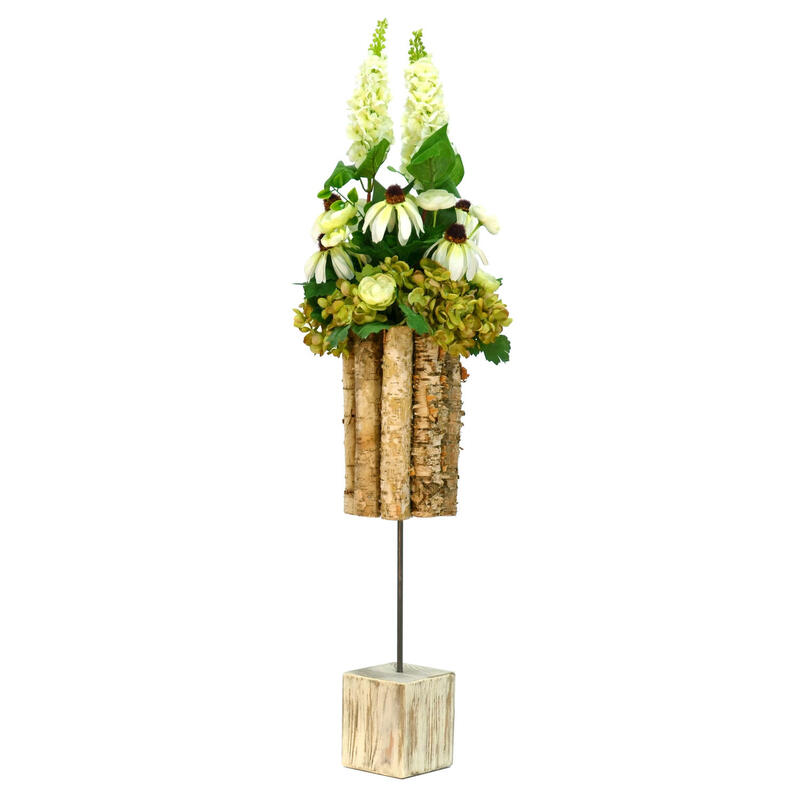 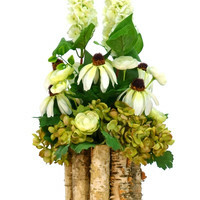 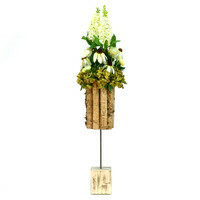 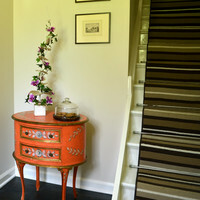 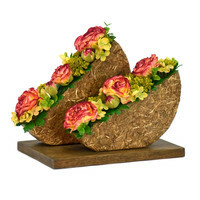 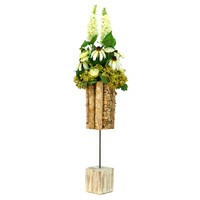 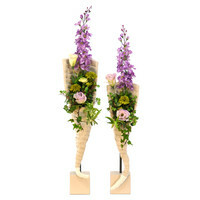 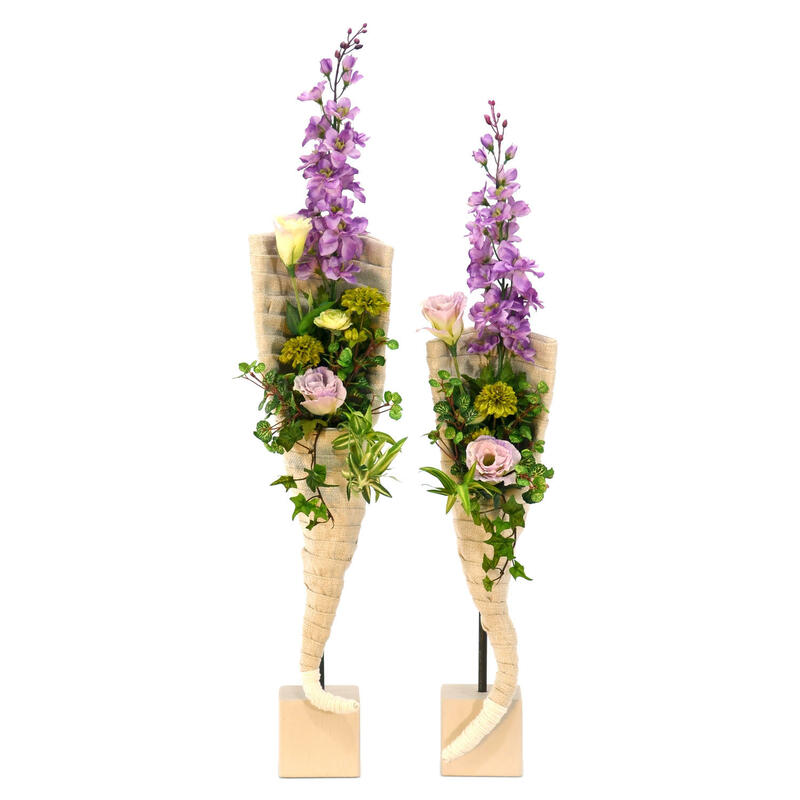 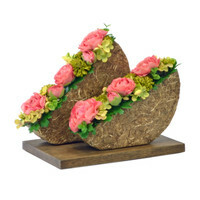 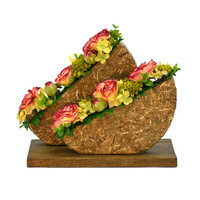 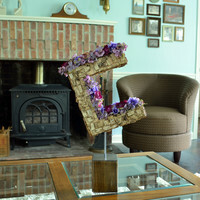 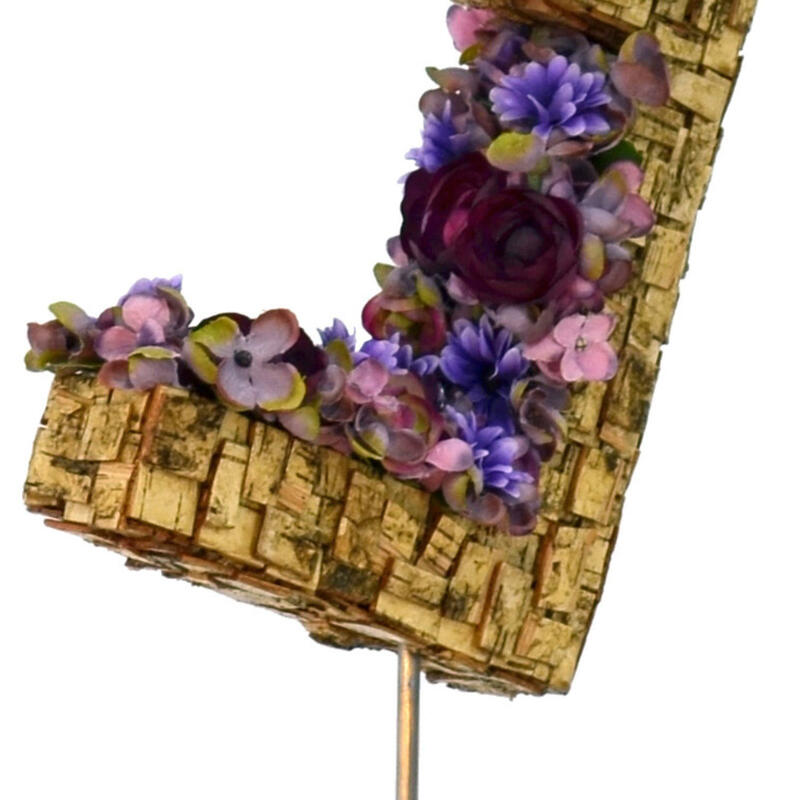 Berkenrond is a rustic design with a base of distressed wood, steel rods and folded birch filled with hydrangea, coneflowers, mini ranunculus and italian lilac. 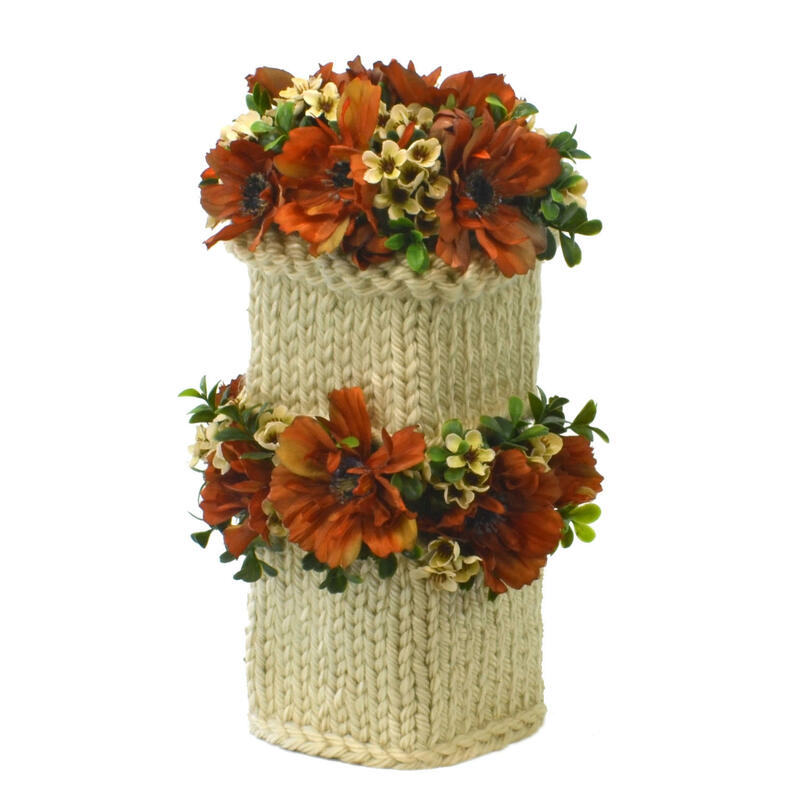 Breiblokkie is the smallest of the Brei-family: a cute one tier hand-knitted base embellished with a flower arrangement of cosmos, waxflower and boxwood.